This is where I shall be posting (on an irregular basis and as time permits) field reports from assignments, comments on kit (old and new) and general musings related to photography as I experience it. New Gear-itis: Is there a cure? Regular readers of my blog are aware that I am an Olympus "lifer". Yes, I have dabbled with other brands at various stages but have owned and used Olympus cameras professionally on a constant basis for the past 41 years. I have had several e-mails recently asking about the reliability of the equipment - most especially the longevity of my digital 43 and m43 equipment. These have increased in number since the launch of the E-M1X. Here I will list my experiences with the various digital cameras from Olympus I have owned and used since 2005. As to the film era cameras, that is easy and can be dealt with, more or less, in a single paragraph. My OM1s, 2s, 2S, 4s, 4Ti, 10, 20, 30 and 40 have never had an assignment stopping fault or failure. My OM2s worked the hardest of all the bodies followed by my original brace of OM4 bodies. The Om2s had three visits to the workshops for preventative maintenance but I never had anything go in for a failure. In latter years some of the wide-aperture Zuiko film lenses have had the expected slowing of the aperture blades due to the thinner in the oils evaporating - as it does. But, other than that, each body, lens, flash unit and motor drive still functions. Now, to the digital era. I will list the cameras and accessories I have owned and used with their issues (if any). The year in brackets is the purchase year. E-1 x 2. (2004) Nothing to report. Retained example has close to 94 000 shutter cycles and still humming away when taken out on nostalgic evening walks. E-500. (2005). 53000 cycles and still fine. The CF card pin array needed some attention at about 30 000 cycles due to a ham-fisted assistant pressing the card in askew but that is not the camera's fault. E-400. (2007). 62 000 cycles. Control dial needed to be cleaned and sorted at around 30 000 cycles. Since then nothing to report. This remaining camera also had a football hit it at full speed in a premiership game at about 48 000 cycles and the viewfinder LCD got a little scrambled but this is not the camera's fault. Everything else worked normally, however. The rear screen frame cracked at about 85000 cycles but was fixed with cyanoacrylate (super-glue). E-5. No faults except for the main grip rubber detaching at about 46 000 cycles. Now on a little more than 55000 cycles and retired to our studio display with all the other cameras above. Zuiko 14-42mm kit lens sold with the E400. Failure of aperture array. 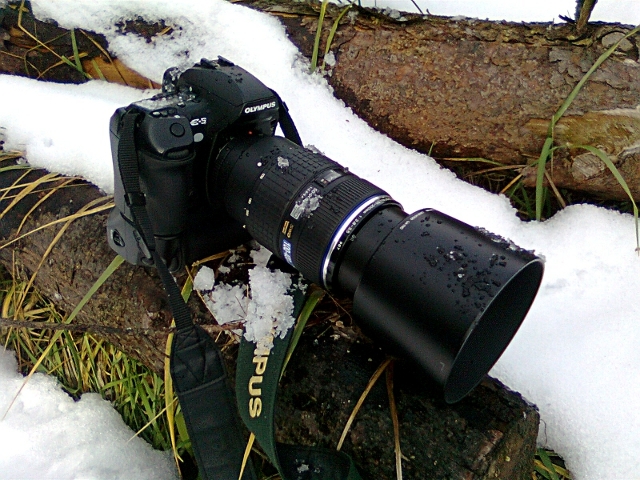 Zuiko 70-300 mm lens (Sigma manufactured version?). Failure of aperture assembly. All the rest (50-200 SWD, 14-54 original and mark ii, 12-60 SWD, 9-18, 7-14, 150, 35 Macro have been well behaved to date and working away on the OM-D kit via MMF3 mounts. FL-50 R x2. Both have failed in a manner where they emit full power at irregular intervals. This occurs when using TTL or manual mode. Thereafter they would not fire at all on many shots. Both were repaired but one failed again in the same manner. FL36R x2. One just stopped working. The other has been a gem and a life-saver when the FL50s went postal. OM-D E-M5 x2 (2012) . No problems. 58000 cycles on remaining example retired to collection. After the issue with the E-M1 strap lug I checked this body and found the right lug was also loose. Eyecup split and tried to go walkabout. Fixed as detailed here. OM-D E-M1 x2 (2015). No operational issues. Those darn grip rubbers and the rear thumb-grip rubbers came off at around 45000 cycles. Olympus Europa sent new rubbers and tape but they came off again at around 74000 cycles. So reverted to cyanoacrylate and they have behaved since and both bodies are now well over the 120K cycle mark. Had one of the SD card slots on one camera damaged by an old SD card that detached a sliver of plastic and bent a contact resulting in a "No Card" error. Yet again, not the camera's fault. Repaired as detailed here. The left strap lug of one body detached. The other body had its left lug coming loose. Both repaired by Olympus at a charge. I know that this was accepted as a design issue by some Asian offices of the company and repaired at no charge. Mmmmm....not something I had ever encountered before with any other camera. OM-D E-M1 mark ii x 2. (2017) No technical problems but that *&)(&)($&$ rubber grip issue appeared earlier at around 25000 cycles. Went straight for the super glue. OM-D E-M1X. (2019). Too new to tell. I will be keeping a beady eye on the strap lugs and grip rubbers. Time will tell. PEN E-P2. Rear control dial went beserk due to dirt ingress on contacts. Switch cleaner used. Problem solved. Then about a year later the image stabiliser failed. Still in use as a B-Roll cut-away backup HD video camera on a tripod as repair of stabiliser will exceed any possible value fo the camera. HLD 7 Grip for E-M1. Lower rubber strip on base and the front grip rubber slid off....applied now studio standard OM-D rubber re-attachment procedure. 14-42 retracting kit lenses from the E-P2 and a replacement ordered to fill in for the original (the R version) have both failed due to the inner flex cables cracking. This resulted in one lens not activating the aperture and the other refusing to focus/operate at all and simply making a grinding noise. For my money, these telescoping designs are not worth the effort. Rather spend the extra and get the 12-50mm kit lens of which the studio now has 2 examples. It is weather sealed and does not have bits that flex and fold and seems in my experience, and that of many forum members on the web, to be the reliable choice as a standard kit lens. It is surprisingly sharp and has a handy macro mode into the bargain. All other m43 lenses - 45mm 1.8, 75mm 1.8, 12mm 2.0 12-40 2.8, 40-150 (4.5 and 2.8) and 25mm 1.8 have been well behaved to date. So, in summary, no serious work-stopping issues have arisen with the daily working cameras. Faults and failures have been in areas that are the least expected with trim and clip-on extras. However, that said, other pros with other brands working really hard in my country under the same climatic conditions (high temperatures and humidity) have also had grip rubbers peel away. So it does not seem to be a uniquely Olympus issue. Anyway, the fix is easy. As for the lug mountings, however, that is - in my view - inexcusable and I really hope this has been attended to. However, forewarned is fore-armed and I will be very careful with the way I handle the X with heavy lenses on it. Finally, if you own and use any OM-D equipment I have detailed above and use it lightly or occasionally - not every single day as I do - I would think that you will find the camera will outlast your interest in photography - or until the next bout of new-gear-itis flares-up. As I will detail in my next blog article on my experience of Olympus camera reliability, several of my Olympus digital era cameras have had the rubber grip material slide-off. I therefore decided to post this short how-to for you to follow when the grips on your camera come off. If you work in similar weather conditions to myself, it is an odds-on bet they will do so at some stage. These rubber grip pads are attached with a double-sided adhesive tape which is die-cut to fit exactly to the bodywork underneath. It appears that in very hot climates the adhesive goes soft and lets the rubber slide off. Well, that's the only thing that makes sense as I have had rubber grips detach from all the hard-working camera bodies I have owned in the digital era: Both E-3s, the E-5, the OM-D E-M5 and its HLD6 grip, the E-M1s front and rear (thumb pad), the HLD 7 grip, the E-M1 mark iis and the HLD 9 grip. In all cases you cannot get the adhesive to re-attach to the rubber. When this first happened I got hold of Olympus Europa who kindly sent a new set of rubber grip mouldings as well as the die-cut tape out by courier. I initially thought this odd as I had the original grips but when trying to use the older rubbers I found that they seemed to have grown a bit all around in the process of becoming detached. It was possible to get them back on to the camera or battery-grip but there was clearly a larger surface area of grip material than the underlying bodywork. Nevertheless, I re-attached the new grips with the officially supplied tape and thought nothing more of it. Until the grips came off again! This time I decided to re-attach the grips using glue given that in round one of this dance I had tried to use several other types of thin double-sided tape. So, glue seemed logical enough but the rubber itself seems to have a peculiar waxy type of surface on the smooth undersides and this appears to preclude the use of all known glues - such as would be used by logical folk - to secure it to the camera. I initially thought of a contact adhesive as this would allow the grips to be peeled away if the items ever needed repairs. That did not work. At all. I then tried epoxy adhesive which also failed to attach itself to the smooth underside of the rubber material. Finally, as a last gambit prior to having to bother Olympus Europa again, I tried that good old modern wonder adhesive that sticks anything to anything (even skin to things you do not want it stuck to which is why it was the last resort...), cyanoacrylate, commonly called super or crazy glue. This works a treat on Olympus camera rubber grips! Below are some images showing the before and after of replacing the rubber on an HLD-7 and HLD-6 grip. First, remove the grip and set to one side. In all my cases there has then been the adhesive tape left on the camera. I have yet to have any stay stuck to the grip material. Nevertheless, remove all the old adhesive from the camera or grip. I found this easiest to do by pushing my thumb up against the material from an un-glued area which made it all roll up into a neat ball of gunk which was easy to remove. I then cleaned the surfaces and the grip material with surgical spirit to ensure they were clean. Next, I placed adhesive in the areas higlighted in the photographs so as to prevent any screws getting permanently glued in place if ever the item needed to be dismantled in a workshop. I also worked from one edge to the other and made sure to glue the sides in first as well as the entire long-edge from which I started the process. Your mileage and decisions on glue placement may vary. Please note: The usual caveats apply here - especially when working with superglue. Use rubber gloves or similar to prevent your fingers getting stuck to your OM-D camera gear. Work slowly from one side at a time and make sure you get the little ridges in the grips pressed into the slots on the item itself otherwise you will find you have bubbles under the grip material. I used a bowl of ice water in which to contract the grips before gluing into place. In this way I overcame the fact that the grips seem to be larger than the area over which they fit. Just pat the grip material dry with a towel and then stick into place before it warms to room temperature again and expands. So far, none of the glued grips have come off again and the oldest of these repairs has now been in the field for more than two years. A grip rubber flapping about or detached?. Clean all the double-sided adhesive off the item surface and from the rubber itself. HLD-7. Red lines and dots is where I put glue. I carefully avoid putting it anywhere near or over screws. The HLD-6 front grip rubber. You can see the carefully cut double-sided tape originally used quite clearly. The red dots show where I placed super-glue when re-attaching the rubber - I removed the double-sided sticky origami first though. HLD-7 again. Put crazy glue along the edges and on enough of the item surface to keep it flat. Insert rubber from one edge to the other to keep it flat. Ensure that ridges in rear rubber face of front grips/handles mate with cut-outs in the grip or camera body. Finished repair. That rubber is not going walkabout in a hurry now! Why not complain about FujiFilm's new mini-micro-four-thirds sensor format? As if dealing with all the factors involved in earning an income from photography were not enough, latter days have added another factor to juggle. Dealing with folk who, apparently experts in all things photographic, like to walk right in front of your camera while you are shooting to see "...what kit you are using..."
Ask anyone wearing an official photographer's shooting bib at virtually any event where the public can get nearby and you will find this is an occupational hazard. Generally, this sort of interest in your job has been around for decades but recent times have made the experience not only onerous, but tedious as, invariably, whenever someone sees the Olympus name on my cameras, they feel they have to try and make me see the apparent error of my ways. Now, as I am generally being paid to capture images or footage of the event I seldom have the time (and as time passes a decreasing amount of patience) to engage with these self-proclaimed experts. I know how the discussion will go anyway. Generally it will involve the twin fallacies of the alleged (but incorrect) "equivalent aperture and lens length" argument and the apparently "noisier sensor" because "physics is just physics" quote from an increasingly - in my view, infamous - website that is apparently regarded as the world's leading authority on digital photography. These twin fallacies have taken on a life of their own and there is little point in trying to explain the several inter-connected issues involved in exposure, the native ISO sensitivity of silicon substrates, the variables introduced due to shot noise effects resulting from shutter speed selection relative to the ambient lighting conditions and the inverse square law of light which even the most suave of the 'Merican Youtographers and his lady have simply glossed-over in their quest for clicks and advertising revenue. Anyhow, on a positive note there is, these days, a newer breed of know-it-all who has at least seen the light regarding mirrorless cameras. This group will acknowledge the merits of such designs but will then crow that if you are going to do this then you should at least get a Fujifilm body as the APS-C sized sensor - having a larger size - will give lower noise and more detail while still delivering the small form factor of my "dinky sensor size" (thanks shouty 'Merican Youtographer Hair-man...) Olympus. Except, of course, that when they crow about the fact that their beloved Fujifilm XT-3 can do 30 frames per second, they do not appear to know that this is only with a 1.5x crop on the image area. So, on what has become the accepted "physics is physics" argument of those who claim to know about these things, the XT-3 should give a less satisfactory performance as regards noise than the 4/3 system when shooting at similar frame rates on the electronic shutter? What a relief. I am no longer using the - taking the "accepted" wisdom of the net - worst sensor format on the market. My only issue now is how to quickly show these anoraks - using the same argument used against 4/3 - that their beloved system has an equivalent aperture which is worse than the 4/3 system when compared to a legacy 35mm sensor...you know, that sub-minature format invented by an asthmatic hiker who squeezed movie film into a small camera body way back when to have something smaller to carry around back when real photographers used 20x25 cm (8x10 inch) FULL FRAME negatives! I am thus leaning towards a rather gruff response to the next know-it-all proselytist akin to that proffered to the waiter in Monty Python's Meaning of Life restaurant scene when the server offered him a wafer-thin mint he really had no need of. I think it might just be the most fitting answer to all this idiocy. Oh what the heck.... my clients only care about the results being what they require. And my Olympus kit delivers what they need. And unlike forum potatoes I don't zoom in to 500% in search of the minutest, imagined, flaw simply to have something to post on a forum or to have a titbit of faux-knowledge with which to bait a working photographer. Life really is too short for that. Following my last blog entry I have been sent several mail messages from folk on various continents indicating they enjoyed the forthrightness of my approach. Many ended by asking what my menu settings are on my existing cameras and what I would set on the E-M1X. Well, as we have just finished a briefing/training session with all my assistants on the new camera we will soon be getting, I can let you know what we have decided to do as an initial default set up. As we have used both the original E-M1 and the Mark ii for some time now, I am also posting a link to a booklet detailing our settings for those cameras. You will see that, rather than post a list of sterile options such as those found elsewhere, I do try and provide some insight into my choices and how and why you might wish to modify my default options. Youtographers and Blowtographers - Oh dear, here we go again! Yesterday Olympus Corporation announced a specific, niche market camera aimed at professional users. No, not at owners of E-M10s or E-M5s or even, in fact, E-M1s. Updates to those cameras are due shortly in the form of new models and firmware (in the case of the E-M1 mark ii). The E-M1x is aimed at folk who use a camera all day, every day in harsh environments. Like Africa. Like news assignments where when running away from a frenzied mob your safety is your prime concern. Or when doing long days next to a dusty show-jumping arena. Or a set of four rugby fields. Or when hiking up mountainsides in the rain to photograph civil engineering infrastructure damage. By and large, as is to be expected these days, a lot has been published on the internet about the camera and most of it within minutes of the official announcement. What one should not expect, however, is the rash of utter bovine excrement which has now been flooding the internet, Youtube and several blogs. Almost every "reviewer", "first impressionista" and other user has mentioned that they had the camera, at most, for a week and, in the majority of cases, less than that. Two of the most widely viewed Youtographers clearly mentioned two days. I would like to know if ANY of these folk first sat down with the camera and read the 681 page handbook? Especially the one who displayed a total lack of understanding of the idea and process behind pro-capture mode. "I guess it just fills up the card or discards the images...I dunno..." he yells. That same reviewer then praises the in-body stabiliser system (apparently claiming never to have seen it before...??) but then, when using it for video, complains about it being a bit wobbly. In the video settings menu of the camera there is a specific IBIS setting to prevent this sort of effect when shooting on video. However, that little bit of information is in the manual and not easily absorbed from the atmosphere via osmosis - no matter how much you yell when speaking or how many followers you have on Youtube. And we will not even discuss the very, very odd results he showed from - allegedly - ISO6400. Elsewhere on this blog I show images from the E-M1 (original model) shot at ISO3200 and ISO5000 and they have nowhere near the amount of alleged noise claimed for this latest model. Likewise the E-M1 mark ii regularly yields sharp, well-detailed images of soccer, rugby and cricket in floodlit conditions at ISO6400. Add this to the fact that he states elesewhere that the camera he used did not have production firmware (and I doubt his famous raw converter had the correct profile for the camera either) and his definitive condemnation of the camera and system is directly at odds with his stated aim to be fair and honest. He was pretty obviously - in my view - only aiming to be controversial and hip - not accurate or logical. And so it goes on all over the web. Anyhow, if any of these cult heros had read the manual, would that have changed their (in one or two notable cases - such as the one just mentioned...) obvious bias? If you have spent time with the camera you will have been able to work your way through the 681 pages and you would have found that the level of customisation available on the camera means that you need to tune it to your needs. To expect it to be all things to all people right out of the box (and in several cases with pre-production firmware to boot) is not only naive, but idiotic. The E-M1 mark ii has an amazing ability to lock on to moving subjects and track them, giving more "keepers" than ever in my sports photography. However, I had to learn a few new tricks versus my E-M1 experience and tweak the settings to suit my style of shooting. The E-M1x has additional focus tuning features not found on the E-M1 mark ii and so, to simply expect the machine to magically know what you want from it is a bit off. As but one example not mentioned in many of the "reviews", it is possible to not only tell the camera what delay to use when re-setting focus on C-AF, but you can also tell it where to start looking when it re-focuses - either in the middle target,or any one of the number of targets you have selected to use. This number and pattern of targets is also totally customisable. So, you need to do a bit of work and it will reward you, I am willing to wager, with an AF C performance the equal (at least) of any camera on the market. My E-M1 mark ii certainly does - And yes I regularly use the so-called market leading flappy mirror dinosaurs as well as the legacy 35mm sized sensor mirrorless model from another electronics firm that bought the now defunct Minolta company. While virtually every "reviewer" and commentator I have watched or read is universal in their condemnation of the fact that the camera has a specific tracking feature to recognise moving vehicles with "only" a setting for trains, aircraft and motorsport, few have twigged to the fact that this feature marks the first step in something that will soon become ubiquitious in cameras - computational photography where the feature set is improved not by hardware but firmware. One apparently reputable site's reviewer, to his credit, went so far as to point out the positive aspect of this feature but then lamented that there was but one way to set this: "...you must enter the menus to enable or disable the deep learning autofocus..." which is a little short of the truth.. This function can be changed via the super control panel or simply recorded in one of the MY Menu or C (Custom) dial positions. And finally, if he insists on sticking to wanting to use the menu for this, he can make his life infinitely easier by using the fastest method of all. That would be to make use of the "soft" custom function each OM-D has and that is that the last setting you adjusted will be called up next time you press a button. So, in this case, set menu items to "remember cursor position" and set the deep learning you want. Next time you press the MENU button voila! The deep learning setting will appear in front of your eyes. What is so hard about that. Oh wait...need to read the manual...ahh, riiiight. Nevertheless, while Olympus quietly carry on working on new algorithms to add via firmware updates, you can go RTFM and use the target cluster settings and the associated customisation to get it sticking like glue to any subject not yet in the available deep learning settings. The viewfinder is also, it seems, simply dismissed based on the pure number of pixels it boasts. Nobody has seen the difference outside of a very select group of lucky testers. A major difference in the Olympus viewfinders versus other, apparently higher resolution ones, is the fact that the others use interlaced display methods while the Olympus one is a progressive scan unit. Try following fast moving action with the others then try an E-M1 mark ii or the E-M1 x and we can talk again about whether its the numbers or the technology that counts in this particular case. The processing and the optics in front of the display make for an amazing viewfinder. Try it yourself if you are interested in the cameras before simply judging usefulness only on the spec sheet. More than one reviewer even lamented tha fact that the "highlight and shadow tone curve feature appeared to be missing" from the E-M1x. No. It is not. Press the +/- button and then INFO and presto! An "apparently missing" feature suddenly appears. Finally (for now) unsurprisingly most "reviewers" also re-hashed the old mythical chestnut about the Olympus menu system being illogical and "complicated". This has taken on a life of its own and become an internet "fact". It is also bovine excrement. Yet again, as someone who teaches at a photo school it is no more complicated or full of items than any modern Canon, Sony, Pentax, Panasonic or Nikon menu. All brands have a number of camera function setting pages, a playback settings page, a custom settings page, a system settings page and a "My menu" page. With tears in my peepers...have they actually had a look at the latest menu options in the settings pages of upper-end Nikon and Canon models? A similar number of (at first) bewildering menu options exist in all modern cameras. They are all laid out in groupings according to the areas they set. With a bit of patience (and their manuals) all becomes logical and easier to understand. However, no other manufacturer has fully implemented the fantastically simple and easy to use Super Control Panel (SCP) on every Olympus camera which puts every vital setting one button press away. (See this video: https://www.youtube.com/watch?v=QgLMOO5x3IY ) Canon has, however, come the closest with the Q button but still leaves some options found on the SCP to a menu dive. In fact, any modern Olympus is so easy to set I am happy to take on any other camera owner in a menu setting challenge if they are willing to meet me at my local coffee shop. It appears that old-school patience, research and understanding is a secondary consideration when there are views and hits to be counted for being first - or contentious - rather than accurate. As was famously said one day by a very close family member, "One day you will learn that common sense is not." So. An additional OM-D camera is to be announced on 24 January 2019.
arrival has not gone un-noticed! There are many fora on the internet where the new camera, aimed at a specific niche market for working professionals, is being condemned as a silly move by the company. The two chief issues being raised appear to be its alleged high cost and the fact that it is too big. Firstly, the cost is not - in my view - so much of an issue when viewed against the cost of an HLD9 grip plus a spare battery to the original list price of the E-M1 mark ii. This put you nearly in the mid $2k range anyway so, in that light, I do not feel the price of the x is that far out of line given its added abilities and ruggedness. There is no doubt in my mind that this latest tool from Shijuku-Ku will find a spot in the equipment lockers of most people who actually make a living with their Olympus cameras. This is so as - if you really run a legitimate full-time business - in most jurisdictions you have two common options of making equipment pay for itself. The first is by way of a lease or financed purchase. In this case the repayments are regarded as a business expense by most revenue authorities and are thus fully deductible from the company income for taxation purposes. The second way of owning the equipment is to simply buy it outright. Either with finance or savings. Allied to this aspect, remember that in many countries one can write-down the value of electronic equipment and other tools against annual earnings over a period of several years. In my locality, three. So, in effect, the equipment will pay for itself at the rate of around $165 a month for two OM-D E-M1x bodies when depreciated across this period. In my case, I allocate a portion of the costing for each assignment to "equipment cost" and when the assignment is paid, this percentage goes into a savings facility. The portion is calculated using the historical average number of assignments in any three year period so that the projected replacement cost of equipment will be available when needed. In this way there is always sufficient funding to upgrade or renew equipment. This includes computer workstations, software licences and studio equipment if necessary. 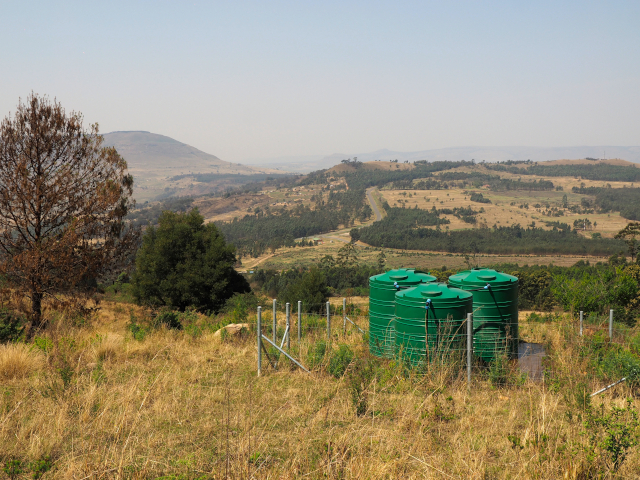 So, in effect, cash flow serves to fund equipment without the need for a monthly cash amount flowing to a third party via an interest-bearing lease and I own the equipment and can realise a value for it if sold on when it gets replaced. As to the size of the camera, this is not an issue for me either as I have always purchased cameras with battery grips anyway. 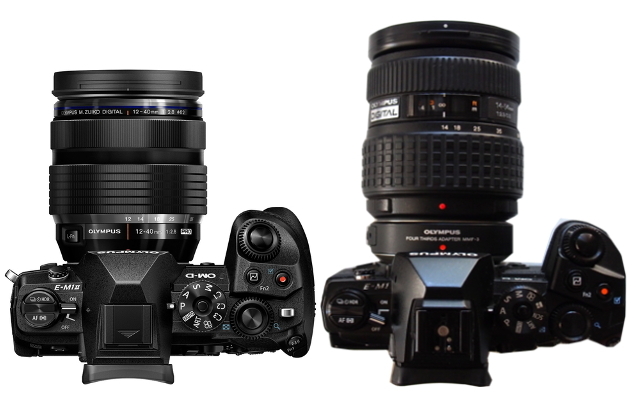 The size of the E-M1x is not that much larger than the E-M1ii with the HLD9. Certainly the E-M1x is far smaller and less bulky than the older E-5 body with the HLD4! And, if I really need to get a camera as small as possible to be as unobtrusive as can be when going into dodgy areas for news assignments, the E-M1ii HLD9 can be taken off and I can carry the camera with a 45mm 1.8 in a small, lightweight package. However, when using the longer lenses all day at a sports event then the added "heft" of the camera with its built-in grip, plus the added battery capacity, will make the E-M1x a great, balanced tool when hand-holding the Pro and Top-Pro lenses. All-in-all the E-M1x, like the other models in the range, is designed to be the right tool for specific users. No single camera is aimed to be all things to all people. I am certain that if you do not see yourself finding a use for the E-M1x, you will find a use for the other cameras that are certain to be announced this year. And they will be. In the interim, as our original E-M1s are fully depreciated already and knocking on 120K shutter cycles or thereabouts, our studio order is already prepared for a brace of the x models to partner the mark iis with their HLD9 grips. I just hope that this time they have screwed the strap lugs on properly. So, at the final bi-annual Photokina the inevitable change to mirrorless by all camera manufacturers of any consequence has come to pass. It only took a decade. While those teams spoke about innovation, Olympus, Sony and Panasonic actually got on with it and changed the camera industry. The Olympus camera division has vast experience of this type of dooms-day prophecy. As a 40 year veteran of professional Olympus camera use I have lived through most of it before. 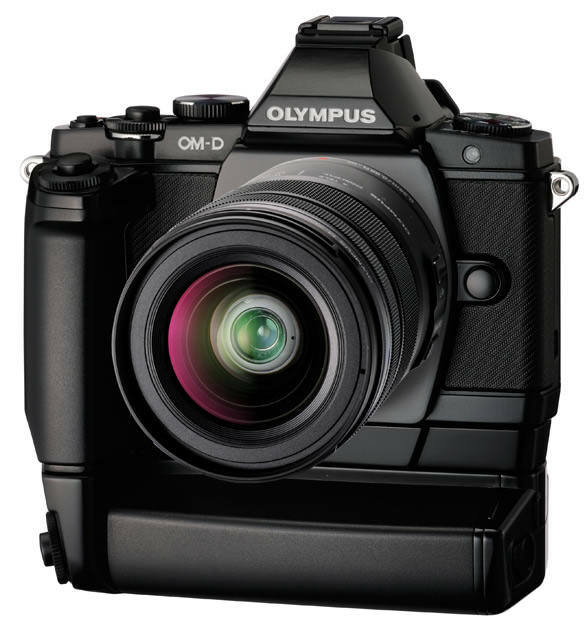 Right from the start of the OM SLR system the know-it-alls have giggled at innovations from Olympus. Way back in 1972 they smiled when the seemingly dainty M1, later - after bleating from Leica - the OM1, was announced. "Too small for serious photographers..." said many as they huffed and puffed while carrying the holy quad of lenses (and back then it was a 28mm, a 50mm, a 135mm and if you did sports a 200 or 300mm) plus two bodies about. Then in 1975 the OM2 arrived with off the film metering and TTL flash and the ability to link up to 9 flash units together in an array (yes, way back then!). "Real professionals calculate the guide number and aperture manually..." sneered those who claimed to know it all. In less than half a decade all systems offered TTL flash units and creative light-painters have never looked back. While this was going on the folk who actually take cameras out into the world and really use them in order to earn a living every day (rather than pontificating about doing that while the equipment actually lives inside the cupboard) set about using the OM system in the far reaches of the planet. In the early 80s ESP metering was put into the OM40 at about the same point that Nikon launched matrix metering with the FA. "A gimmick!" and "Real pros use handheld meters!" cried the nay-sayers. Try and find any camera or mobile phone that does not offer matrix (evaluative) metering now. Next, the OM4Ti launched full-syncro (FP) flash which added the cherry on top of the awesome light metering system it already had. You guessed it - "It's just a fad. Not really something most serious photographers will ever use..." grumbled the chaps down the camera clubs. Take the FP/H flash feature or spot metering off any wedding photographer or avian photographer's camera today and watch them bleat. Then, of course came the auto-focus revolution. In case you were not around in 1985 that was when Minolta (the soul of which lives on in Sony kit today) launched the Dynax 7000 (Maxxum 7000 in Zee speaking countries...). Canon then hoofed all their previous supporters in the teeth in 1987 and switched to the EOS lens mount from the FD mount that had brought them to that point citing the fact that they could not make AF work with the old mechanical system. And this was without any adaptor! Thank goodness DP Review, Twitter, Facebook and Instagram were not around then...they would not have survived the outrage. Olympus offered an AF solution (using the OM mount) for those who wanted algorithms to do the job for them but, for the most part, by using the OM kit daily I had sorted out techniques for sports and other fast-action photography. In some cases I even used (gasp!) the "non-professional" yet un-loved OM30 and the awesome in-focus trigger system to pay the rent. What on earth...? Did I just say I used this camera professionally? You better believe it - that red circle shows the port for the in-focus trigger system. Plug cable from here to motor drive release. pre-focus on any given spot (with ANY OM mount lens) and Presto! As soon as your subject moved into exact focus the camera activated the shutter and drive system (up to 5 fps on this model). It was a "killer app" for getting grand-prix cars and motorcycles tack-sharp in mid corner. Obviously too far ahead of its time as no similar feature is readily available today. However, the point is, if you fully understand the equipment and it's features, any camera can earn money for your business. As the 1990s ran into the Two Thousands the OM system passed gracefully into history. That was not too much of an issue as the lenses and other kit could take advantage of the improving film emulsions that came along. For those who had a majority load of sports shooting in their schedules there was a bit of a conundrum. In those cases, it made sense to get an AF capable camera. By the mid 1990s the AF systems had matured and made sense. I personally opted to go the Nikon F5 route. While more compact than previous F series models it was still a bit of a size culture-shock - especially in regard to lenses on a like for like basis. I only used it for fast moving action and for the rest I carried my OM gear about. Mmm...two systems for different needs? Fancy that! Now, while folk were predicting the demise of Olympus as digital fever took hold, they appeared to have forgotten that Olympus had been busy innovating in that space with the Camedia digital compact series, the E10 and E20 as well as digital endoscopes for some time. So, when they announced their entry into the DSLR market with the E-1 in 2003 it had some pretty interesting innovations. Prime among these was the dust reduction system and a lens mount and system designed specifically for digital imaging. Then they added the Super Control Panel for one touch access to most menu functions which is now also an ubiquitous feature (On Canon the Q menu and on Nikon the "i" option menu). With the E-510 they brought in body stabilisation from their older 35mm film-era fixed-lens iS series to interchangeable lens cameras. This is now considered a must-have feature for most manufacturers wishing to compete in the marketplace. It certainly avoids one having to buy a stabiliser mechanism over and over again everytime you purchase a new lens. Then, of course, came the EP line in 2008 followed by the OM-D series in 2012 when flappy mirrors and prisms were consigned to the technological graveyard and a 5 axis in body stabiliser became the new normal for shake reduction. I admit to being one of those who was concerned at the loss of the mirror. Then I used an EVF and a stabilised OM-D for a few months. The rest, as we now see, is history. Now, why am I not concerned about Olympus camera division's survival in spite of their lack of an earth shatering announcement at Photokina? Simple. They said all they needed to say. "Next year is our 100th anniversary year..." I reckon it is going to be an exciting one. I think they will continue to be around for the future as, unlike the so-called "big boys", the Olympus camera division is not so large as to get mired in the inertial mud of its own size, Its parent is not wholly dependent on its camera market share to justify its existence and it is still compact enough to be responsive, innovative and visionary. These factors permit it to develop technology which benefits not only photographers, but the other imaging professionals to which the company caters and which many do not even think about - medical and scientific imaging professionals who account for more than 3/4 of the wider company's revenue. As mentioned in the short address given by the head of the camera division at Photokina on 25 September 2018, the Olympus camera division remains focused on developing technology and products that not only benefit creative photography but also the rest of the company's product range. So, there you have it. The camera division will remain around, notwithstanding what the opposition are doing as it has a mission beyond pleasing the internet. As to professionals choosing to use Olympus mFT equipment for the benefits it brings, I can confirm what the manager of Olympus Europa said. I spend a good deal of time walking around carrying equipment up mountains, radio and water towers, hanging out of aircraft doors and running with crowds of protesters in addition to doing corporate portraiture, event photography plus covering sports events and weddings in rural areas of our country in all kinds of environmental conditions. For my needs the size and volume of a full set of working kit in the OM-D system is perfect. The small lenses and compact bodies all work together to deliver a competitive advantage in my work over larger lenses and camera bodies with more sensor real estate from other brands. I am sure I am not alone in being able to exploit this. If, like me, you needed to regularly hike up mountainsides like these to get documentary images for infrastructure providers in the back of beyond, you would soon understand the benefit of the mFT system and why it has a place in the pantheon of professional photographic tools. And, when in the studio doing commercial work, the high-res mode of the E-M1 II gives all the super fine quality the agencies think they need for printing at 150 dpi in magazines. I said "think they need" as most images are now almost exclusively viewed on 72 (or perhaps, in high-end repro studios 180?) dot per inch screens, with a data link somewhere in between. In most parts of the world beyond Europe, North America and the Far East, that data link is not blessed with speed, reliability or great bandwidth. In the small number of cases where images are intended for printed output, they are almost invariably reproduced in offset-printed CMYK processes for magazine use or output to large inkjet printers. In all such cases the dynamic range of the image file is squished into the restrictions of the CMYK color-gamut anyway. So all the arguments about having the ultimate dynamic range and highest resolution "which only a legacy sized 35mm format sensor can provide" is increasingly moot save for impressing the odd pixel peeping graphic art director. In general, I have found that the highest quality image with the smallest possible file size for the task at hand is what drives the industry today and it is, in my experience, what will increasingly drive it going forward. In that world I am confident that the 43 sensor in the mFT system offers - as did the OM system at the start of my career - the ideal balance between portability, responsiveness and quality. As to those who say 4/3 is the "wrong size" sensor which has been "pushed as far as it can go". two things: Firstly, none of my clients ask about, or even notice, what the sensor format is. Secondly, there is still room on the 4/3 sensor format for up to 31 megapixels at a pitch of 2.8 microns- which is a pixel-pitch others were already using on their "Pro" DSLR sensors which were smaller than the 4/3 sensor way back in 2005! So the format has not nearly been "pushed as far as it can go" as alleged by so many forum potatoes. As 2019 is the 100th anniversary of the company, I am certain that glimpses of the next decade of innovation in photography will be revealed by Olympus before the next Photokina in March 2019. And, in addition to my postulated new, higher res sensor, tweaked high-res mode and a sharper, high-resolution EVF, what else could be "next"? Listening to the head of Olympus Europa mention making the cameras "...more intuitive to operate..." I have a feeling that part of the innovation we are yet to see will involve removing the need for decades of book and theoretical learning in order to get the settings adjusted for that great shot you have in mind. AI is, in all probability, on its way in some form or another at some point in the not too distant future. AI will increasingly make arguments about the size of the sensor irrelevant as intelligent algorithms can already remove noise and sort bokeh on demand in-camera or on the studio workstation. This trend will continue as will, I feel, the ease of interconnectivity between the cameras and all other devices forming the professional workflow. I think it is pretty self eviden too that improved integration and ease of use of professional quality video will be incorporated in all future top-line camera models. Convergence of the two media (stills and video) is a reality for any working profesional nowadays. As to speculation about Olympus needing to make a larger format camera, it is technically possible with the existing m43 mount as the image circle is double what it needs to be for the 4/3 format. However, given Sony's investment in Olympus I cannot see that Olympus would see any honour in going head to head with Sony by trying to enter a very crowded legacy 35mm format sensor market. Additionally with the Sony and Zeiss partnership I think Olympus joining the L-mount alliance might cause too much loss of face among the shareholders ( and introduce a cost for licence fees to Leica whereas the mFT mount does not attract a licence fee) so I feel that is a remote possibility. However, there are all those Olympus legacy size sensor lens patents floating about out there but I suspect they will see the light of day with Sony logos. 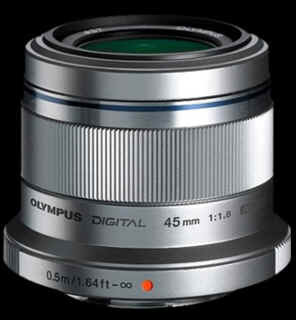 I am confident that Olympus will bring new developments to m4/3, especially as Olympus is still designing new lenses for the format. Speaking of which, with the Tokyo Olympics taking place in 2020 would anyone bet against a very fast 200mm prime (400mm legacy 35mm format equivalent) making a debut in the Olympus PRO line? I wouldn't. Those of us who use camera equipment to survive need to select the most suitable tools needed to be competitive and efficient in the market sectors in which we have strengths and seek to compete. Olympus has always done the same and I do not expect them to suddenly change tack from offering a powerful combination of portability with the best quality. It's been their philosophy since Maitani-San led the OM design team. It is Olympus' "killer app" and it offers a rich market niche to exploit as it is not a crowded sector. A vital aspect of the Olympus system for me is that it does not intimidate people or look like costly equipment. 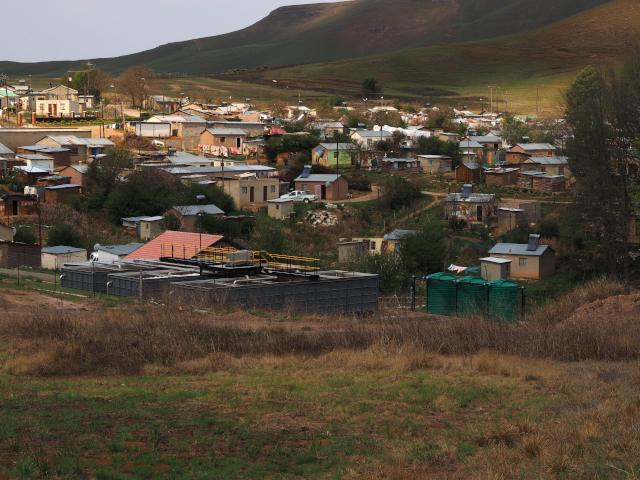 In far away informal and semi-formal settlements this is an advantage. It also permits you to capture candid images easily as the camera is seldom noticed...except by the eagle eyes of the very young! However, I would not panic about the creep of AI and other tech in the professional equipment market if you are a true professional. 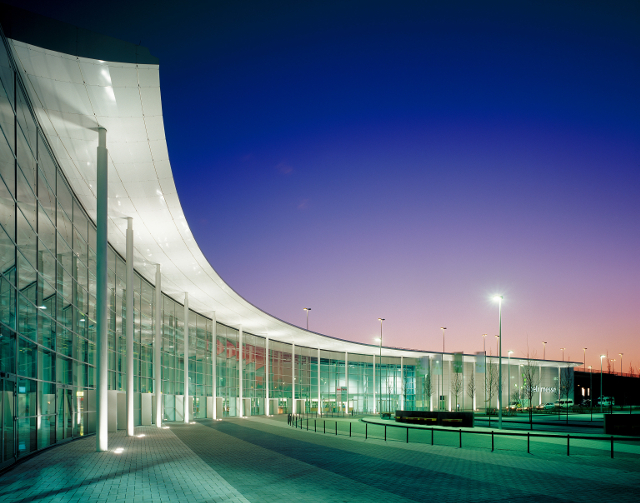 Taking the photograph is, perhaps, 20% of the effort involved in any professional assignment. Professionalism involves meeting the needs of the client and offering the most cost-effective solutions on time, every time. People and management skills are key. Thankfully those soft-skills are not, in any way, dependent on the size of the sensor in your camera bag and they cannot be replaced by AI. So relax and use your camera equipment, whatever it may be, to the best of its potential and leave others to do the same. I am sure Olympus are developing the next generation of tools to keep clients like me employed doing things with light and images we cannot imagine at present. And those tools will, for the foreseeable future, use mFT lenses and be compact and easy to get to where they are needed. So, here's to the next 100 years of Orinpasu Kabushiki-gaisha ! So, after months of rumour and a not very subtle media build-up, Nikon launched their entry into the modern camera world today. In addition to two new camera models revealed in a boring, copy-cat iPhone style launch (and all modern product launches seem to be the same ho-hum format with ages of waffle before showing everyone what they came to see...) the firm also introduced a new lens mount design, which they are calling the Zed mount. And no, I refuse to be dictated to by their language police in regard to the way this is pronounced. The last bit of protest is due to the fact that Nikon is so full of their own importance they have issued an edict that the cameras and mount be referred to - on a worldwide basis - in the American way of pronouncing the last letter of the alphabet, which of course many UK-English speakers know is Zed and not Zee. Perhaps they have done this as they need to draw attention away from the elephant in the room which is why they have re-designed the mount as they have. One of the justifications for the redesign was alluded to in their launch material - the older Nikon F mount (which they will still milk for all it is worth, however) was, as were all but one of the legacy 35mm camera mounts - simply not wide enough to permit a large image circle. This, as Nikon explained, limited their lens range to a maximum aperture of f=1.4. There are two other reasons, of course, which they will not say much about. The first is that in order to make a legacy 35mm sized sensor mirrorless design deliver the full benefits of lower mass and volume, they needed to do away with the added complication of the anti-vignetting processor and circuitry which all legacy 35mm sized sensor cameras have had to pack inside in order to pre-process the image to remove the ever-present darkened corner pixels which have plagued every attempt to offer a legacy 35mm sized sensor camera. Yes, they all have had to put them in - this technical problem was caused by the made for purpose image circle of legacy 35mm film lens designs and it was, in the first instance, why initial DSLR cameras had what is now called a cropped sensor. The sensor was simply reduced in size to the point where all light rays were hitting the pixels at 90 degrees instead of at the angle of 60 degrees or more in the outer corners of a legacy 35mm frame area. Olympus, one of the two pioneers of mirrorless camera designs a decade ago (Yes, it was them and Panasonic and not Sony as most reports in the media today seem to believe) avoided all the issues with vignetting by making their digital lens mount large enough to ensure a 90 degree path to the sensor throughout the frame even up to a f=1:1.2 aperture, way back in 2004 when they and several other firms set the 43 standard. This why their camera system boasts several f=1.2 lenses today. Anyway...a larger lens throat finally makes it possible to get (I will assume) a pure, non anti-vignetting, pre-processed image off the arbitrarily decreed holy grail of image sensor size, the legacy sized 35mm sensor. It is interesting to note, however, that, in theory - the original 43 lens mount has the ability to more than adequately cover a legacy 35mm frame. Not that that will change the orbit of our planet...yet. However, the next reason is likely to remain hidden. It is that Nikon needed to have a design that would help them shore-up the company by generating added revenue. And the Z lens mount is 55% larger than the F-mount., This means any lens they now make for this new system will, of course, have an equivalent increase in the lens glass diameter. This means more Nikon optical glass out the door and, of course, more revenue. If you think this is fanciful, simply compare the launch cost of the 50mm f=1.8 S Zed system lens to the existing 50mm AF Nikkor. There is a ZAR2000 gap between the two! So, any pretence that Nikon may have made about "Mirrorless not harming our market..." is just so much guff. They launched a mirrorless series which is clearly aimed at the two firms hurting them most and with the largest market share at the two price points. The Z7 appears to be aimed at Sony's similarly priced unit in the upper market and the Z6 matches the Olympus OM-D E-M1 mark II price point. Further credence for this thought comes from the fact that the Z6, in body price and size of the camera with its kit lens is nearly identical in almost every measurement to the E-M1 Mark II with the 12-40 Zuiko lens. However, in all the hoopla being generated by the launch of the system, and notwithstanding that (in my view) irritating, over-rated, self-important and smug anything smaller than a legacy 35mm or APS-C sized sensor is not worth it American and his lady on YouTube predicting the demise of micro 43 - and by extension Olympus (Is that "again", or "still" or simply wishful thinking?) - a legacy 35mm sized mirrorless camera body may be small and compact but the body and lens (especially when the lens is now 55% larger than ever before) still makes the Z system larger, bulkier and more cumbersome to carry about on a like for like focal length/performance ratio than the M43 system components. And thinking of like-for-like lens comparisons, that is hard as are the new Zed system S lenses not very thin on the ground, even looking at the "lens roadmap" ? At the presentation it looked like there would only be a total of 10 S-family lenses or so - even through to 2022. Looking at that it seems they are going to be leaving the majority of the lens lifting to the existing, cumbersome, F-mount designs. If so, then, really, what was the point? Are they really serious? And then, looking at the pricing and the format, another question crops-up. The feature set is, essentially, 3 years out of date. It may have been better to launch the DX format bodies first. There are far more buyers at those price points. To pander to the limited market which follows the narrow thinking that a legacy 35mm sized sensor is the be-all and end-all of sensors, is to forget that there is absolutely no reason why a 43 or APS-C format cannot continue to provide portability and speed for general photography with those needing larger sensors (they think) being left to lug larger glass about. It's interesting to remind ourselves that 35mm was considered a minature format among "serious" film photographers barely 30 years ago and you were only a "professional" if you had at least a 645 format camera or larger. Having these same, silly arguments raging again (and calling a 24x36mm format "full frame") is a bit of a giggle and wastes time for actually taking photographs. Nevertheless, the fact that both formats can co-exist by using a single, far-sighted lens mount design - without one making the other redundant - will be proven in early 2019, if not earlier. Notwithstanding all that, welcome to modernity Nikon. I hope, however, that this is not a case of too little, too large, too late for I fear that the obvious downside of the added cost and bulk of the larger glass needed to make the Z system work - and the limited lens line we have so far seen or heard about - may be its downfall. After all, you will not be making added profit from folk after they buy the FTZ adaptor to use all that legacy F-series glass will you? And my estimate is that is exactly what most buyers will be doing, if they even buy the new models after comparing them with other options that are smaller, less costly and part of a larger, more established system that boasts eye-focus abilities and fast buffer clearance. And twin card slots. E-M1 "No card" error - solved. Today I had a shoot for a theatrical ensemble needing visa photos for attendance at a festival in the US. When I tried to put the card back in the camera, there was a very slight resistance - more than usual but not such that it prevented the card from seating. However, when seated, the rear display said "No card". Not too alarmed, I reached for the spare card case as I have had the odd card go on the fritz before. However, when trying to replace the card, it did not pop up and away from the slot as usual. It was very reluctant to slide out. I removed it eventually after gently wiggling it along. Once out I saw that a sliver of plastic that normally divides the contact areas had come away and was bent sideways over the contact area. So, feeling certain a new card would fix things, I popped another into the camera. No resistance. Good. Normal seating. Great. However, still the same "No card" error. I used the other OM-D body to finish the shoot and when back on home turf, set about investigating the issue. 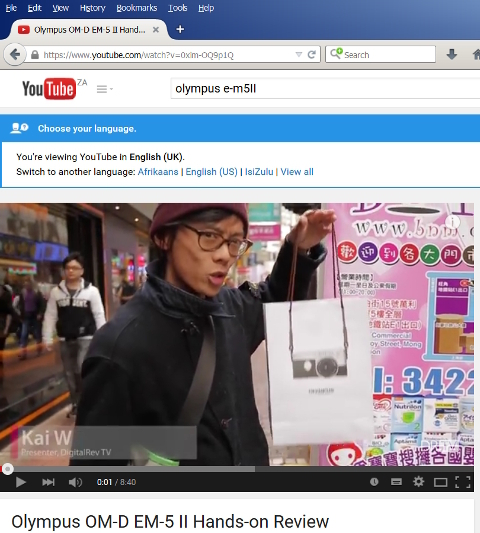 I could find nothing in my searches of the web or of YouTube about this issue on Olympus E-M1s. That is either a good sign or the professional, daily user demographic is too small on a global scale to have resulted in the error being documented. Now, being at the southern tip of my continent, any repairs to Olympus equipment involve a minimum 8 week trip to and from Europe and tons of export/re-import paperwork. So, given that I was looking at a long period of being reduced to one body (which is not the way a proper professional likes to attend assignments - for the very reasons displayed on today's shoot) - I thought it was worth a look into the problem. Firstly, I looked at the addressing of the various pins on the SD card reader. Without any of the grounds, particularly on pin/contact 1, 3 and 6, the equipment is unable to confirm the presence of a card nor its read/write state..
Mmm...the plastic divider that had been bent was between contacts 6 and 7. I placed the camera on a tripod and looked into the slot with a magnifier. The contact for pin 6 was laying flat while alll the other contacts were, when compared to the other E-M1, up at their usual height. Now many videos on YouTube do show the repair of the SD card reader on other brands of equipment where the cameras have been dismantled to gain access to the pins so that they can be bent back into place. I was not going to take the camera to bits If I did not have to - and, thinking a trip to the repair workshop of Olympus Europa may be needed anyway, I was not of the mind to make their job more of a challenge by shipping them a box of bits. So, I thought to try and find a way of pulling contact 6 up without dismantling the camera. After some trial and error, I succeeded. I then checked all my SD cards to see if any had any flappy connector dividers and tossed those that did. There were at least 4! So check your SD cards. Check your SD cards in case these dividers are flappy. On this card the divider between contact 6 and 7 came adrift and flattened the contact arm in the SD card slot of the camera. If any are loose, toss the card! The process I followed to repair the contact arm causing the fault is shown in the photos/decription below. It needs only a paper clip or strong narrow-guage steel wire bent as illustrated, the camera mounted on a tripod (with battery removed) good diffused lighting reaching into the card slot and a helmet magnifier or loupe. Mount camera on a tripod and get some light into the SD card slot. I used an LED video light. The end result was that pin 6 was put back up to a serviceable position and the camera is working away happily again. When I have a cheap, third E-M1 body on hand (and are they not just brilliant value on E-Bay now? ), I will send this one in as it has one more really maddening fault that cropped up a month or so ago. The strap lug on the left hand side came away from the camera - leaving its two securing screws inside the body casing. That is unforgiveable in my opinion but it seems to be a known issue on the E-M1 and E-M5 series - to such a degree I see that one or two eastern markets repair this fault at no charge. This should NOT happen on a professional pice of equipment! And if it does, it should - in my view - be repaired at no charge. Sorry Olympus, but on a professional grade camera, the body really must be up to professional use and the strap lug is NOT an item I need to be worrying about when I have one of your top-pro lenses mounted on the camera and I am using a second body while carrying the other on a strap during a shoot. I have never had to worry about it on my OM cameras nor on my Nikon F5 or D200 bodies. I will report back in due course as to whether Olympus' agents in South Africa - or indeed Olympus Europa - will do the honourable thing and repair the lug at no cost or not. One thing I have discovered, however, is that there is little to no chance of my getting a loan unit from the local agents during the weeks they will take getting my equipment shipped to and from Europe. And that is what is making me hesitate about getting a second E-M1 Mark II instead of saving a whack of money and simply getting another, fairly young (in shutter cycles) mark I off E-bay. If they want me to carry on committing to them through purchasing their equioment, it would be nice to have some reciprocal commitment to my business in return. I do not think it is a right of any professional user, but it is a good courtesy. 2. Open card door and place a diffused light source so that it penetrates into the card slot. Contact arm number 6 was pushed down as the plastic card contact divider came off inside my E-M1 SD card slot. 4 Bend a paper clip or thin, strong wire to the dimensions shown. 5. Carefully lower the tool into the slot and place the tip under the contact arm. Gently pull it to the rear end (closest to the card door) and tug gently to raise the arm. Do this on either side of the arm so that you do not twist the contact arm. With some paper clip wire there may be insufficient space to get between pairs of arms so it is better to use a very narrow guage of strong steel wire. Contact arm 6 raised up again so that it can be depressed as the card slides into the SD slot - thus completing the ground circuit which tells the camera a card is inserted. NOTE: The above procedure worked on my camera equipment to restore functionality. I do not suggest this process as a recommended course of action if you have rapid repair turnaround times in your market. If you do decide to sort this type of fault on your own, note that your mileage may vary. If you cannot get the contacts re-set after several attempts then rather send the camera in for repairs by a professional. Imagine a wedding without photographs! Yes, that's right. Your sister or brother - daughter or son - finds the love of their life and they do the bit where they decide they love each other so much they want the government involved in the relationship. Now, as one of the partners - your child - is getting out of the car at the venue after having spent hours scrubbing up to a presentable state, it would be the most natural thing in the modern, connected world in which we find ourselves, for mum to grab her mobile and ask for a selfie or to take a shot to post on her social media page to share with all her friends. What would be more natural if doting Uncle Majosi, while the register is being signed, were to take out his new Super-digi-flex to grab a shot of the couple and witnesses? What memory of the day will linger if the photographer hired for the event were to angrily stomp up to mum, grab her mobile and insist on deleting the photograph which had been taken? I have also heard of events where the paid shooter has deliberately stepped in front of the lens of Uncle Majosi each time he tried to take a shot. Aside from all the legal issues this raises over copyright and the wilful destruction of intellectual property - in the former case - to which the photographer has absolutely no rights given that they would not have actually taken the image (nor can they be the copyright holder for images of the event in question anyway) the foul taste this would leave in memories of the invited guests who witness such behaviour will linger for years. In the case of the latter behaviour - that of deliberately obstructing public witnesses from witnessing the ceremony - anyone doing that is. arguably, acting illegally and merely being a male reproductive member. This type of arrogance is, to my mind, taking aim at both feet of any marketing efforts you may have made to that point and letting loose with both barrels. Your chances of getting commissions from anyone who saw such an incident or heard about it will likely be nil. In many cases I have heard of assistants being delegated to stand at the door of the church or ceremony venue and collect mobile phones and digital cameras from guests! Aside from the fact that you have no legal right to do this at a public venue (and remember that a wedding is a public event and that, by law, anyone may attend to witness or document it) the security risk in a country like South Africa is a huge one. Would you want to accept the legal liability of the loss of just one of the devices your assistant has in custody on your instructions? Anyone doing this is totally nuts - or so rich they do not mind the legal ICBM they will - inevitably - have to face one day when a mobile with years of memories or vital business files goes missing or gets damaged. And, in any event, if you think I am going to hand over my camera to some young millenial to keep "safe" you have obviously never asked anyone if you can feel-up their partner! Some people advertising as professionals have obviously thought about this aspect and try and avoid it altogether by including a clause in their...err..."contracts" that clearly state that guests must be told not to bring cameras to, or use them, during the wedding - or the egotistically named creative shoot. I would appeal to anyone claiming to be a professional photographer and who seeks to dictate behaviour of guests and families in this way to stop embarrassing themselves and the real professional photographers who have, through years of considerate client service, built the industry you are stomping upon with your over-inflated sense of self-importance. As we have learned through the decades, you cannot stop progress. If you think you can, try and find anyone who still has a job carrying a red flag in front of a motor car on public roads. Seeking to stop people taking photographs at a public event simply on your say so is arrogant and insulting to the clients, their guests andf family. I also think it is nuts - and illegal. Next, as some have tried to argue - you are NOT the owner of the copyright to images and poses used when photographing the couple or guests. South African law holds that the owner of the copyright to any images shot for payment belongs to the party paying for the work. Yes, that's right, all your claim to be the only one permitted to hold on to or release the images is duff. You cannot restrict the publication or use of the images you shoot for payment. The full rights to the images are those of the client - or the owner of the mobile phone or digital camera that takes the shot. End of. Others have lamely tried to justify this insane idea by saying that they do not want other photographers to see their ideas and copy them. Most photographers have Facebook pages where they display their shots. Also, once the couple get their photos they put them up on social media. Stroll around any wedding expo and find the row of tables where photographers skulk with their albums or laptops showing their work and you will understand that this argument is baseless. Anyone can see your photos as you put them out for perusal yourself. So, on a number of levels - aside from the obvious one of being a total cardboard box (Translate into Afrikaans and you will get the idea) by seeking to restrict people from taking photos at the wedding at which you are - in reality - also an invited guest, this type of attitude should be, in my book, an immediate red flag to any prospective client. Anyone looking to dictate terms such as these - and to seek to unilaterally modify the law to suit themselves - is not, in my mind, a professional photographer but rather an egotistical dictator with no understanding of the laws nor etiquette and social niceties - or of professional photography. If you really think that being a total idiot is going to keep you shooting weddings for longer as you will be able to keep your ideas, poses and "creative work" a secret by preventing the social aspect of a wedding from taking place spontaneously, then - with such a huge load of insecurity - you actually need to find something else to do. Try used car sales. Let weddings be the memorable, unpredictable and fun events they are meant to be. Leave the recording of the emotion of the day to real professionals who understand that this business is about the needs and desires of the client first and our egos last. Weddings should be all about the couple - not your insecurities. If you already own the 50-200 SWD and an E-M1 or E-M1 Mark II should you get the 40-150 PRO? Find out what I think after 6 days of use of both lenses. 40-150 PRO or 50-200 SWD? One of the greatest gifts to camera manufacturers' bottom lines is a peculiar drive among photographers to get the latest and greatest equipment. I have termed the malady "New Gear-itis". It manifests as an incessant trawling of new equipment reviews, peering at specification lists and - more commonly these days - looking at E-Bay and other places to see how much you can get for your existing equipment and, in the digital age, the answer to that is usually "woefully too little". The virus then beds down for an extended period of incubation until, all too often, the newest version of the camera family or that wonderfully professional looking, just launched lens is ordered in spite of one's financial management senses screaming as loudly as possible. All too often, especially considering the many questions I field in this regard, those suffering from the malady expect the new equipment to instantly and magically lift their results into a different league altogether. The reality, however, is that newer generations of equipment provide incrementally smaller improvements in quality and functionality - if there are any real differences at all. So huge, noticeable differences are not present. Any small improvements which may be made, are often very hard to notice in day to day usage. Often, I have found, prior to the new equipment being purchased, the user already has highly capable equipment in the bag which is not being used to anywhere near the limits of its abilities. I shall refer to a recent assignment to illustrate this. As a preface, however, we must place the launch of the Olympus OM-D E-M1 Mark II at center stage. This camera, so the reviews go, offers vastly improved auto-focus tracking over its predecessor. It boasts a near 50% increase in frame rate. Most crucially for users of legacy Olympus 43 glass like myself, it adds phase-detect sensors over a wider area of the sensor than the original E-M1. Crucially, all of them are cross-type detectors. The last point is, devoid of any other aspects, sufficient to pique my interest. The use of cross type sensors over the full area of the sensor would, on its own, boost the camera's auto focus performance. I have had the honour of testing one of these new cameras. My impressions will soon be available in a short video. Yes, it is a great piece of kit but there are some awful blind spots of the design which really jar - especially if you already are very familiar with the E-M1. Temptation to get infected with NewGear-Itis comes in many forms - in the most recent strain, with the new E-M1 Mark II (left) and the 12-40 PRO lens versus my current E-M1 and the ZD 14-54 with MMF-3 adapter. Are all the new goodies and slightly more compact lens combo able to radically elevate my results? However, the time spent with the camera was, to be honest, insufficient to fully evaluate all areas of its alleged improved specification to the point that New Gear-itis could sink its claws into my meagre wallet. So, due to this problem and the aforementioned niggly issues, I was prevented from succumbing to New Gear-itis on the turn. I was recently honoured to be requested to act as official photographer to a national Touch tournament. I had my trusty original E-M1s available to tackle what is arguably one of the most fast-paced, hard to photograph of ball sports. Given that the tournament ran over three days, I had plenty of time to fine-tune old and tested methods of using the camera system. Focus target: Central single target. After getting a mixed bag of results in the preliminary matches - in which teams were not moving at the peak of their speed in order to save themselves for the finals - I ran a few experiments. The first, and most interesting observation I made was that the focus adjustment performance (and therefore the ability of the camera to re-focus as the subject moved forwards or backwards) was not affected by changing the setting of either AF-C or AF-C+TR nor the camera frame release rate. Neither was it affected by the size of the target selected. What I had known previously from countless soccer matches was that a small target was just not big enough to keep a player zig-zagging about between other players sufficiently covered. A larger target was, therefore, a better choice. The only other setting that affects AF performance is the C-AF lock setting. I found that the magic charm for that was to set that to Low. This made the lens fluidly adjust focus without any delay and keep whatever subject the camera happened to be pointed at in focus. The focus acquisition speed was also almost instantaneous. There were several occasions where, positioned at the nexus of four different fields of play, I needed to swing from one game to another to catch developing action. With the C-AF lock set to low, the camera would zap right to the focus point covered by the player and I was able to "point and shoot" with a very high keeper rate. C-AF Lock Low: The camera has a low latency time before commanding the lens to re-acquire focus. This means it will re-adjust focus as fast as it can as you move the target area around. C-AF Lock: Normal: The camera will allow a period of time to elapse before commanding a re-adjustment to the focus in the selected target area. This might be good for following items that get blocked by other subjects such as birds flying behind trees etc. C-AF Lock High: The camera allows a much longer period to elapse before commanding re-adjustment. In my experience, the latter two settings have use if you are photographing subjects which are moving laterally and are likely to be obscured by foreground objects for a split second. If, however, you have subjects moving erratically and tracking towards the camera such as athletes in a flat race, Touch players jinking between defenders, motor sport machinery, models or birds moving towards you, then C-AF Lock should be on "Low". It is so fast I can use the Continuous High release rate with a better than 95% keeper rate. That said, what about the C-AF+TR? I have previously found that this works very well if the camera is relatively static and a subject is moving around within the frame. 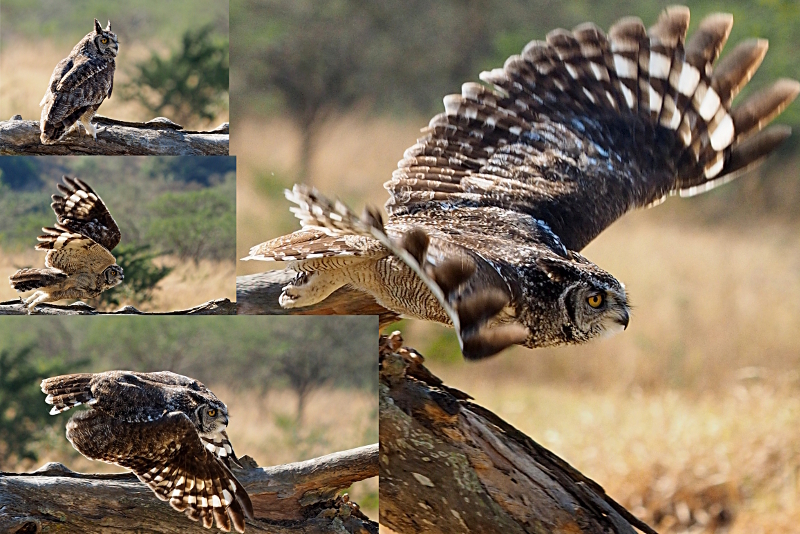 As soon as you move the camera around a lot, the AF target gets confused and wanders-off, usually to the background. One final aspect which I found affects the keeper rate slightly is that with the IS system set to IS1, a significant number of images taken while panning the camera will be fuzzy. With the setting to IS2 (or IS auto which I have long since set as my default for rapidly variable action or birds in flight) the camera does not try and fight your lateral movement and the number of sharp images when shooting action increases. Release mode: To requirements. Cont. Low provides more time for AF confirmation but I have found little difference in AF performance between High and Low continuous release rates, the speed of focus acquisition being far more affected by the C-AF lock setting. NOTE: If using Cont. H you may find the viefinder appears to stutter a bit. You can change the viewfinder frame rate to Normal to mitigate this but, after some practice, you can follow things quite well at the high refresh rate. It's less of a challenge at normal, however so perhaps better for learning the camera. That said, the newer E-m1 Mk II is almost stutter-free so better in this respect. Focus target: Central, large single target. 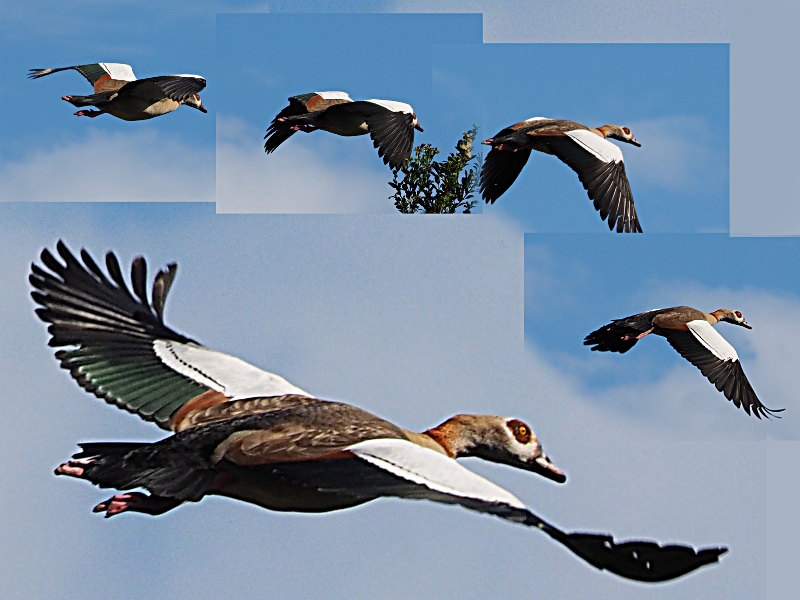 If doing birds in flight against the sky, use a central group. IS: IS Auto or IS2. So, after all that, I can bag tack-sharp action images at rates of up to 9 frames per second on the mechanical shutter or 11 frames per second on the silent shutter option. I am also able to track erratic subjects with high levels of confidence and a great hit rate on my exisitng equipment. So, by fully fine-tuning the existing E-M1, I have a tool that is capable of a performance 50% below the newer Mark II - in frame rate only. I will concede that the cross-type sensors and target coverage to the edges of the frame will boost the focus lock speed and be far better in low light or with low contrast subjects. However, for well-lit subjects, the differences - in practice - are not that great. Using my 4/3 50-200 SWD lens on the MMF3 adapter, the higher frame rate is the only improvement the E-M1 Mark II is likely to provide as the Pro-Capture mode does not work on older 4/3 lenses anyway. And speaking of the "older lenses" , I compared the new 12-40 pro to my existing ZD 43 14-54 lens and found, much to my surprise, that I actually preferred the results from my current lens! I have a full set of test images at various apertures and focal length settings and the differences, if any, are negligible and the sharpness has nothing in it. Furthermore, looking at the latest PRO 40-150 2.8 lens which is lauded as being compact and fast, I found that my current 50-200 SWD is as fast as I need it to be and - when stowed - virtually the same size. Set to 50mm it is the same size as the newer lens at just 16cm in length so I will not gain any packaging advantage save for the lack of the MMF-3 adaptor. Zoomed-in, however, the older lens is much longer and looks bulkier than the newer option while the actual difference in outside grip diameter is barely 6mm in favour of the newer item. The other hook, however, is the newer lens' constant 2.8 aperture. However, at the equivalent maximum focal length (150mm), the 50-200 is at f=3.4 which is one click of the adjustment wheel to raise the ISO to compensate and get the same shutter speed. However, two clicks and full zoom gives me 30% more focal length and an effective 400mm f=2.8 super telephoto equivalent on a legacy 24x36mm sized sensor system but at a fraction of the mass and bulk. A counter to the nagging of New Gear-itis is the answer to the question: Do I want to spend $1000 to get 30% less reach in a lens the same size and only fractionally lighter and marginally faster? OK. If I did spend $3000 on the new lens AND a new E-M1 Mark II I would get 7 more frames per second and the ability to do Pro-Capture sequences - as well as fill up my hard drive with more images per assignment and extend my selection and editing time. However, after more than 3 decades doing sport, in real terms, it is not, practically, really much more than I can do with the existing E-M1 and the 50-200 SWD set correctly. Granted, relying on experience to correctly judge the critical moment at a wedding or other shoot, rather than simply blasting away at high frame rates hoping that does the job might be old-fashioned and seem boring but it saves a lot of post-production time and card space. So, in my case, I have concluded that it is not - at the current prices - worth giving in to New Gear-itis. And perhaps therein lies the lesson. Extend your understanding of your existing gear and you can vaccinate yourself against New Gear-itis. However, you will not kill the virus totally as I still have this nagging little devil making me trawl E-Bay for the first crop of E-M1 Mark II bodies that get moved-on by those heavily infected with New Gear-itis. There is generally a post-honeymoon period when they grow tired of the toys and go for the next of the latest and greatest releases. At bargain rates, I can convince myself the benefits are worth it. And of course, should Olympus decide, after having been a pro user of their equipment since 1978 that I am worth being given the kit as a brand amabassador, I would not say no. However, back in the real world, we can treat the symptoms of New Gear-itis, but never the cause. The virus will always be there. Whatever it might be, however, just learn to properly use and enjoy your camera gear. That can, at least, provide a temporary antidote. And your clients (and wallet) will thank you. Cologne is a city that has witnessed many changes. From the devastation of the second world war, to the centre-piece of the post-war German "economic miracle" in the Rhineland, the city itself has metamorphed and managed to remain current while still retaining it's charms of a bygone era. For decades, however, the Koeln-Messe (Cologne Exhibition center) over the bridge behind the Koln Dom has seen the latest and greatest innovations from industries as diverse as motorcycing to scaffolding and photography shown to the world. Photokina is, notwithstanding flashier and younger Johnny-come-lately competitors such as CES and others, the pre-eminent photographic and imaging trade fair on the planet. 2016's fair has, for me, one central theme running through all the product launches so far - "the decisive moment", photographers like myself who have built a career and business on being masters of picking the moment to freeze and bulky, expensive legacy 35mm sized sensor prism-based DSLRs are all on notice. It has been looming for some time - ever since Nikon first put video capture into the D90 SLR. Perhaps, when you think of it, it has been heralded since the first compacts permitted video clips - it was just a matter of time until the quality was good enough (with a sensor of reasonable size) to take it seriously as a hybrid tool. The demise of prism-based cameras has been signalled since Panasonic and Olympus launched m43 six years ago. Well, that era of fundamental change in equipment and technique is now. Olympus, Panasonic, Sony and Fuji all have mirrorless, 4K capable cameras that also shoot stills. Canon has dedicated 4K video equipment. It is creeping into their SLRs too and they have just launched the EOS M5 mirrorless camera. On the Olympus E-M1 Mark II, the camera captures the 14 frames ahead of the shot you actually take so, if you have missed the decisive moment, you can go back a few 60ths of a second to find it. Using the mechanical shutter, the camera can give you 18 frames per second at full resolution or, without focus tracking, 60 frames per second! No more need for complicated trigger beams and other equipment to get the splash made by the olive in the glass - hit the button for a second as it drops and you will have it. At equestrian events, timing, borne of hundreds of hours of practice ensured you got the perfect moment - where the horse and rider were at the correct positionover the jump, the rear hooves were off the ground and the forelegs neatly tucked under the animal's chest. Now, anyone with the 4K or 6K capture equipment will nail the shot - every single time. Shots like this, previously the preserve of many hours of practice and anticipation, will soon be commonplace with 4, 6 and 8K capture. In a way this is simply a logical progression from the tools made by the two most famous camera brands that permitted folk to sit on the sidelines of sports events and capture data-streams at 12 frames per second which picture editors sifted-through in order to find a shot for publication. However, the complication of ever more finely designed mirror and focus mechanisms that make these cameras cost well over US$6000 is really not needed anymore. I firmly believe we have seen the peak of those product lines - a last splutter of fame and appeal before they are swept from existence. I state this as, with the advent of 4K photography, images can be picked at will from 60 frames per second sequences at 18 megapixels - more than adequate for any newspaper or magazine illustration. Panasonic is already working on an 8K tool, this will give you 33 megapixel frames. In an age where 90% or more of the images captured are consumed on screens, this is more than adequate. Possibly over-kill. Even for the die-hards who insist on large prints - these are increasingly been made on inkjet equipment as coated paper and chemical processing hangs-on by its fingernails - 33 megapixels will be good enough for building-sized shots. So, stills from image streams is the reality of imaging now and for the future. Any photographer who has spent a career capturing single frames had better pay attention. Your skills have been superceded by technology, fast buffers and technology creep. So? What do you do then? Get yourself up to speed on video, 4K and 8K and save-up for a fast computer because your competitors from the video industry are moving into your patch. If you are not able to adapt to, embrace and creatively apply the new tech, you should rather start finding a comfy beach upon which to retire. Similarly, any manufacturer that has not seen this light on the horizon (and in fact it's already at the station under the banner of Olympus, Sony, Panasonic, Canon and Fuji), is going to join the ranks of those manufacturers who thought they would always be in the photo business. Remember Polaroid, Voigtlander, Minolta, Yashica, Kodak and others? Don't let your name be added to that list. After more than a year using Olympus' top-of-the-line professional digital camera, I have penned a review. I have done so in the absence of any useful review being found on YouTube or camera sites. All I have found are first-impressions or material based on early firmware versions which do not come close to imparting what the camera is capable of nor do they provide alerts to some of its pitfalls for the unwary. Those wishing to view it may do so here. Yet again, almost predictably, a camera website has linked to a video from someone who "was using 4/3 but is now selling this lens..." as the 'reviewer' claims some mythical depth of field restriction is not permitting him to isolate subjects in his theatre photography. The reviewer then states that he has to go back to legacy 35mm film sized sensor equipment to achieve the shallow depth of field he needs as the 12-40mm zoom he was using cannot deliver the results he wants. This sort of ill-informed opinion-broadcasting is not only continuing to fuel the myth that legacy 35mm size sensors are the only solution to digital imaging, but it is also proving to me - on a large scale - that many people using cameras professionally nowadays are either not appraised of the mathematics of lenses and depth of field, or they simply swallow the poorly referenced propaganda put out about 4/3 or APS-C vs 35mm sensors and lenses by the manufacturers of so-called "full frame" sensor cameras who are scrambling to guard an ever-diminishing market share for their clunky prism and mirror equipment. Firstly, shallow depth of field - or subject isolation from the background - is not a function of the receiver/sensor size. The focal length, camera to subject distance and then, of course, the aperture to focal length ratio (aperture setting), are all integral factors to consider when envisioning a particular depth of field effect. Let us look more closely at this alleged 'failing' of the 4/3 system (And it's also often claimed for APS-C sized sensor equipment as well). In this particular instance, the reviewer was lamenting the fact that he could not isolate the subject on a 40mm f2.8 when shooting a rock concert. Now, if I imagine placing a 40mm 2.8 lens on any camera, the last thing I would expect would be to isolate the subject from the background if I am shooting someone on stage from either the wings or the foot of the performance area. Unless the performer bent down and was within 3-5 feet from the lens and it was set at f=2.8, everything from 5 feet onwards would be equally sharp anyway. This is due to the fact that any 40mm lens will be at or near its hyperfocal point from that distance onward. What is hyperfocal distance? Well, a commonly accepted definition is thus: The hyperfocal distance is the closest distance at which a lens can be focused while keeping objects at infinity acceptably sharp. When the lens is focused at this distance, all objects at distances from half of the hyperfocal distance out to infinity will be acceptably sharp. Now, acceptable sharpness depends entirely on the size of the circle of confusion which is acceptable to the viewer or photographer. Discussion of the circle of confusion is meat for many text-books and not applicable here. For those who are interested, the formula for hyperfocal distance goes as follows: H = f2 /Nc + f . With H being hyperfocal distance, f being focal length of the lens, N being the aperture number setting and c the circle of confusion limit for acceptable sharpness. Nowhere in the formula (or any other depth of field or focus formula) is there an input for the size of the image receiver - or the sensor or film size. Fine. If we must get technical, the focal length will effectively make any given aperture value on a longer lens (say a 50mm at f=4.0) a physically larger opening than a 25mm set to f=4.0 (12.5 vs 6.25 mm), but you will do your head-in thinking about all these measurements. In practice, your lens focal length and the lens to subject distance plays a far more critical role in what sort of focus effect you will get than any mythically "perfect" format or lens focal length. You need to use whatever the tool is, within its own merits and plan your shots (and equipment choice) beforehand. Understanding what gives shallow depth of field is vital - and it's not any magical lens size. It's where you are and where your subject is that, in practice, plays a far more crucial role. Simply put, the closer you are with the lens to your subject, the more you can blur the background with a wide-open aperture - provided you are beyond your normal focal length for the receiver in use. If you cannot get physically close, then a longer lens will achieve the same sort of optical effect as being physically closer. So? Why one earth expect any 40mm lens to give you shallow depth of field at distances beyond its hyperfocal point? And the sensor has nothing to do with this - it's an optical phenomenon. At one point the 'reviewer' states that the lens is actually an equivalent 80mm f=5.6 for purposes of comparison with a legacy 35mm sensor and lens combination. There is even an extensively quoted post on none other than DP Review where there is a discussion about "equivalence". From this many have deduced that, for example, any exposure of 1/250 sec at ISO100 and f=1:2.8 on a smaller sensor would be the eqivalent to ISO400 at f=1:5.6 on a sensor of twice the size. This flawed understanfing of the article has gained a credibility all its own and the article is often mis-quoted by many to justify why "full frame" (by which I assume they simply mean a legacy 35mm sized sensor) is far better. No light meter in the world ever had a dial setting for the size of the film upon which you were to expose the image. If the surface area involved made a practical, visible difference (as opposed to a pure theoretical "down the local in the corner with the anoraks" difference), then everyone needs to immediately rush out and buy the largest possible sensor camera available and marvel at the magical "gain" in light on their exposures. The relationships between these things is not linear and other issues (such as the neutralising effect of the ISO of the reciever media) must enter into any (in practice - totally pointless) debate about sensor or pixel size and surface area. I digress, however. Even taking this (flawed) 80mm argument at face value - for rock concerts, that is also not a focal length I would use to shoot images (Using a legacy 35mm sized sensor camera) where minimal depth of field is a requirement. One needs at least a 100 - to 135mm lens and you need to wait until the subject is in the first third of the lens' focusing range to ensure you can isolate the subject from the background at a wide-open aperture setting otherwise that sneaky hyperfocal formula will catch you out again and make everything behind the subject sharp anyway. Even then, there are other factors to consider. You will only isolate your subject if it is itself isolated from objects in the background - at least 3-4 feet from anything else if you are under 10-15 feet away. And that distance between your subject and the background will need to increase as your camera to subject distance increases. Put another way, the amount of isolation you can achieve is directly proportional to the increasing distance between the subjects and your camera to subject distance. Yes, legacy 35mm film sized sensor cameras may appear as if they can more readily achieve shallow depth of fields in concert situations, but, once this reviewer has bought the heavier equipment, and purchased the longer focal length lenses needed to get in tight on his subjects, he will find he is in the 100mm plus focal length range I mention anyway. Even then, he will still need to remember that he cannot get subject isolation when the performer is a dozen feet or more away from the front of the lens and fellow performers are standing within 3-4 feet of the subject. And, at the end of the concert, when his arms are aching and he needs far more fluid replacement than he would have had he kept his E-M1, he can calm down and remember that Olympus make a 40-150mm f=2.8 lens. The lens is lighter than any competitor's 70-210 lens (while giving the reach of a 300mm compared to legacy 35mm sized sensors), it is faster and it will provide him the shallow depth of field he so laments as being impossible with 4/3 sensors when using a 12-40mm lens for a task better suited to a longer focal length lens anyway. Oh, and it's less costly than the closest equivalent 300mm lens from legacy 35mm sensor size camera manufacturers into the bargain. My OM1n, OM2n and OM4T cameras were trusty companions. They traveled the planet with me. Through their viewfinders I witnessed the best - and the worst - of the human condition. Most often, it was through the elements of my Zuiko 85mm F2.0 lens. That lens was the last word - in my opinion - in sharpness, the perfect candid focal length and ruggedness. It permitted me to work in the null-zone between a human's personal space and the area just inside the 7-10m range which we habitually scan for threats. Between these areas we tend to ignore things. I love hunting in that space. It lets me, to all intents and purposes, disappear into the myriad of objects that were not an obvious threat and which have not yet invaded the subject's personal defence zone. In riots, at news scenes, in informal settlements, on trains, at airports or in schools the 85mm permitted great reportage and documentary work to be undertaken. In structured environments, such as a portrait studio or at weddings, the 85mm gave a lovely perspective with fine control of depth of field. I used that lens so much that the chrome mount had worn through to a brassy colour on the mount flange. The textured rubber of the focus ring had been replaced 8 times prior to its "liberation" during a home invasion in South Africa in 2011. Recently I have re-discovered the joy of that perspective and control with the arrival of the M-Zuiko 45mm f=1.8 m43 lens in my kit-bag. It is the spiritual - and practical - successor to my much-loved and missed 85mm f=2.0 optic. There is the near-identical field of view as the 45mm lens on m43 gives a 90mm legacy 35mm film format field of view. It is a featherweight into the bargain so it blends into the overall camera shape and feel of any camera to which it is attached. At f=1.8 the control of focus and depth of field is the same and it has the same colour mood of the original. For all practical purposes, therefore, it has brought me full-circle back to the joy of my analogue outfits. In certain situations this could, in reality, lead to more detail than you may wish to capture. As an example, here is a portrait grabbed on the turn in an unguarded moment. If I had a shorter lens I would have been inside the personal space of my subject and, perhaps, she would have been more self-aware. A 100% crop of the eye and a portion of the veil shows the relentless detail delivered by this lens. To make the image more flattering to certain tastes, there may be a little work needed in post-production. Another shot, taken while the artist was working intently, let me play with the dramatic tone filter to achieve a new look for an oft-photographed activity without disturbing my subject. If you already have your 14-42 and 40-150 kit lenses for your m43 camera - or you have the pro equivalent in the 14-54 or 12-40 and are thinking of buying another lens - I doubt that you will be disappointed with the money you spend on the m-Zuiko 45mm 1.8. Personally, I think it is a bargain. THE DEATH OF THE SHIFT LENS? In the 1970s and beyond, you could recognise a serious architectural photographer by peeping into his gadget bag. 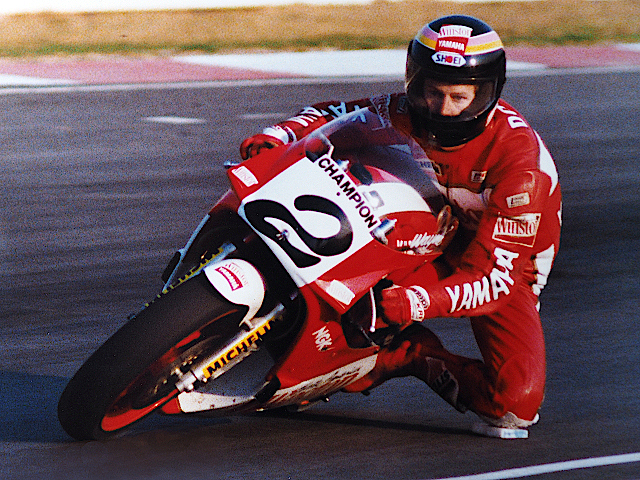 If he had a shift lens - technically a 'Perspective control' lens - in there, he was the business. If not, he was a pretender. The serious architectural photography club (outside of those using view cameras to do the work) was exclusive. The simple reason was that entry costs were enormous. In the days when I purchased my first Olympus OM1n MD, the camera and 50mm lens cost about $400. A shift lens for the system cost about $1 000! Even today a 17mm shift lens from Canon will whack $2000 from your wallet! 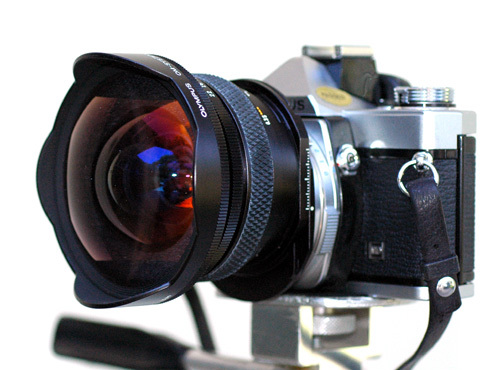 A Zuiko analogue era 24mm shift lens - at maximum shift - on an OM1. Why a shift lens? It permits you to control the appearance of vertical lines (mostly) in images and correct for convergence of these lines in the final image. Yes, the poor folk like me had workarounds. When making prints in the darkroom you could use tracing paper with vertical lines placed over the enlarging easel. Tilting the easel this way or that permitted you to effectively adjust for lines that were converging or diverging along walls or tapering to the top of buildings. You then whipped away the paper and slotted in a sheet of printing paper to expose the print. This was tedious. It was very Heath-Robinson and the results were seldom repeatable to exactly the same standards - unless, like one retentive colleague - you made an adjustment platform to carry the easel that had a vernier rig with annotated screw adjustments which you could lock in place or note down. You still had an issue with focus though as this shifting had very little leeway before blurring of the detail. So? How did a shift-lens help you? Well, a shift lens would permit you to mimic the movement of the rise/fall adjustments of a view camera. The lens was, effectively, split in two and connected by a sliding rail mechanism as well as - on the really top-flight ones - having a pivot to permit swinging the lens. You could move the lens along the rail to the left/right (or if you had the camera oriented the right way up/down) and peer through the viewfinder to see how much correction of vertical or other problematic lines you had achieved. Of course, you were locked-in to whatever focal length the designers of the shift lenses for your system had decided. So, if it was a 24mm, that was the only focal length at which you had correction possible. Well, the shift lens can now be discarded into the dustbin of history as digital technology has made it, in my view and practical experience, an expensive and redundant item. I say this not because of the well-known and probably well used process of perspective correction available in manipulation software. This option has been around for ages and solves the issue to some degree (if you know what you are doing) but it does not mitigate for the loss of detail in areas of the image that were further away from the focal plane in the camera than others. No, I say this as you can now do it in the field with any focal length of lens as if you had $2K plus of lens attached to your camera. 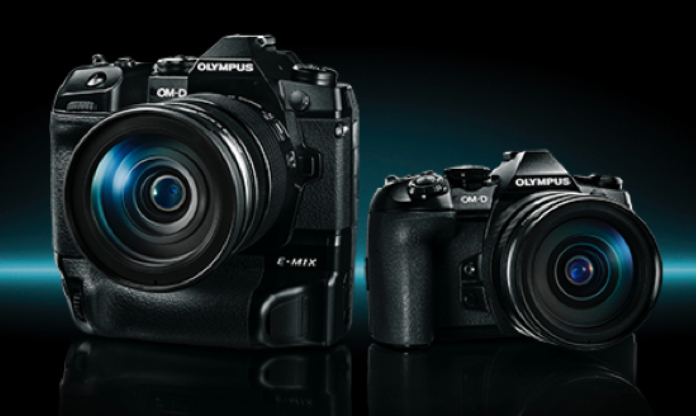 Enter the Olympus E-M1 or E-M5II mirrorless cameras. On the second camera menu there is a setting which many of my professional colleagues - let alone amateur users - have glossed-over. It is called keystone correction. 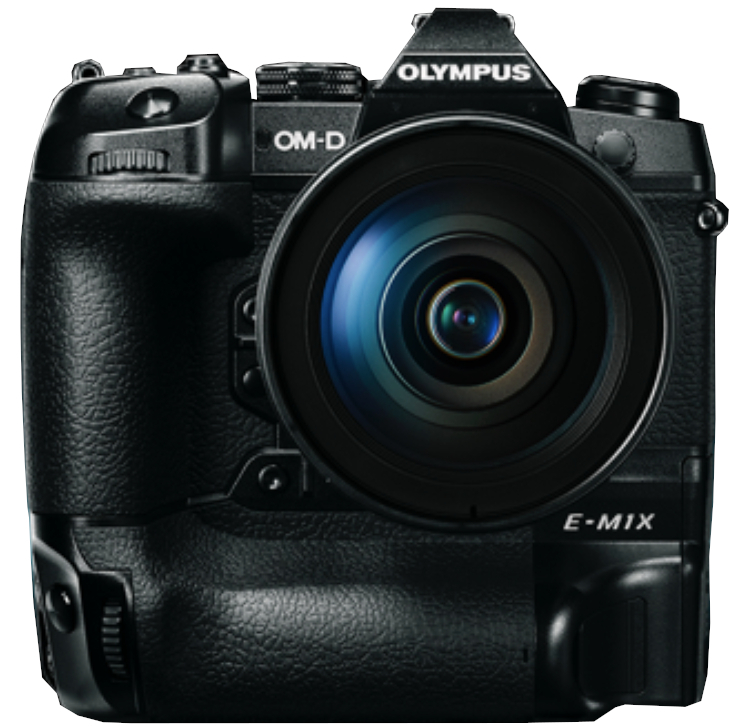 OM-D E-M1 or E-M5II: Second camera menu - Third option down saves you at least $2000! When activated, you can adjust the image in the viewfinder or monitor for swing or tilt to correct perspective for converging or diverging lines in both the vertical and horizontal plane. The adjustment planes are shown in the viewfinder - Front dial sorts swing and back dial tilt. The keystone alert (window) icon is at top-middle. Once you have made a swing or tilt adjustment this icon, and the one on the rear of the camera, turns green to warn you keystone adjustment is set and active. You see what you get before you shoot and the camera processes the image to save a perfectly corrected image to the card. Another aspect of the process is that the image produced is also punchier than the standard JPEG you will yield of the same scene. Something in the processing just whips-up a sharper, punchier result and that is a superb bonus. I have tried processing the RAW files to the same standard but I will admit defeat - it is not worth the time and effort to try and match those amazing chaps in the design and software department with Phds. Their camera does it instantly and to a better standard than us mere mortals are able to achieve. Standard jpeg shot the lazy way. No adjustment of camera and tripod has been attempted to ensure focal plane is perpendicular to surfaces. Lines converge towards the bottom of the frame. Identical scene with in-camera keystone adjustment. Much punchier and sharper than standard and lines now straight. Aperture control is also automatic which is not the case on all shift lenses on the market today and was certainly hardly the case in film days. Speaking of aperture control, with shift lenses and analogue imaging you needed to carefully select your aperture to minimise vignetting and/or to provide depth of field to correct for the different distances to the subject - such as the top of a tall building. With the OM-D Keystone adjustment, you select all as normal and then activate the Keystone tool. The processing algorithm seems to take up most of the tricky calculations so you can shoot wide open if needs be for reasons I am about to explain. The keystone option available on data projectors has probably put people off using the setting on their cameras as, on projectors, the amount of pixels is reduced to affect the change in apparent perspective. However, images shot on the E-M1 are still to exactly the same dimensions and pixel number as without it. This is impressive and tells me two things. Firstly, the image circle of the lenses achieved through the telecentric design philosophy on which Olympus founded the entire 4/3 concept is large enough to permit a lot of manipulation (and growth...?) and that the effect is actually being achieved by using the 5 axis stabiliser drive to physically swing or tilt the sensor. This approach would explain the impressive edge to edge sharpness achieved with the technique as it effectively replicates the swing or tilt of the view camera's film plate and normalises the focus over the image plane. I have used this feature extensively on several recent architectural assignments and it has saved huge wads of time both on-site and in post-production. It is yet another feather in the cap of the E-M1 that makes it, in my experience, a brilliant photographic tool without peer on the market. You cannot apply exposure or other corrections to the image if the keystone feature has been enabled as the front and back dials are used to adjust for vertical or horizontal shift. Set up your shot, set your exposure settings etc. and then activate the keystone correction option. The option does not automatically re-set so ensure you switch it off (there is a warning on the rear panel and in the viewfinder with a window-like symbol when it is active) otherwise you will not be able to do any adjustments to exposure etc until you do re-set it. You can allocate the function to the Fn2 or front camera button of the E-M1. I am certain you could do that on an E-M5II as well but as I have not used one I cannot say for certain. However, this makes it a handy option to activate or de-activate the setting without needing to go to the second camera menu page - although that is no longer a hardship after the latest firmware update which memorises the last menu option position. Best of all, if you have older film era lenses and you are using them on your E-M1, you get the same tool to use - so now all your lenses are shift lenses. The planet's landscape is, by the volume of internet acocunts, littered with EP-10 eyecups that have jumped-off the viewfinders of countless Olympus E-M5 cameras. There seems to be a universal consensus that the EP-10 eyecup is a cunning ploy on the part of the manufacturer to make added profit through the sale of thousands of replacement eyecups. Well, while the issue of departing eyecups is familiar to any Olympus digital camera user (My E-3 power user-guide mentions how to prevent that camera's eyecup from going on lone sight-seeing expeditions), it seems it is the modern norm. Discussion fora on countless photo web sites have similar tales from owners of cameras as diverse as the Nikon F750 to Canon models. Thus some of the following may have merit no matter which camera you own. All the eyecups are now made by third-party suppliers and not by the camera manufacturers. In days past, there were metal frames that securely attached the eye-cups to sturdy viewfinder frames. Nowadays the eye-cups are all made from plastic and rely on the "give" in the material to affect their clamping operation around the viewfinder frame. The rubber surrounds are slotted and grooved but only held in place via little stalks of rubber pulled-through holes. Tearing these little stalks of rubber is very, very easy. The end result is the detachment of the rubber. Furthermore, the manner in which the EP-10 (or whatever else it may be called in the eye-cup supplier's catalogue) unit is designed, is simply asking for it to break in one particular spot if anything like a small effort is applied to the frame sufficient so as to make it bend. And it does always break in that one spot. Once that has happened - often from no other action than simply carrying the camera around normally, the rubber surround will tear off fairly quickly thereafter. 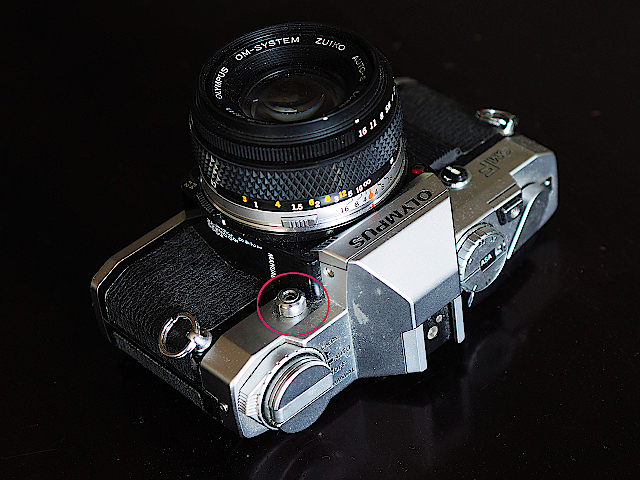 So, here is Shutterbug's non-patented guide to repairing and securely attaching the EP-10 eyecup to your Olympus E-M5. 2. How the rubber is attached. You can see the nodules of rubber that were attached to the plastic frame still left behind in the frame. No great effort is required to break these small locating lugs of rubber - a sneeze could do it - so don't feel bad if your rubber surround has detached. 3. NB! PLEASE READ INSTRUCTIONS AND HANDLING PRECAUTIONS FOR SUPER-GLUE! TAKE APPROPRIATE ACTION TO PREVENT PERSONAL INJURY OR UNFORTUNATE CONSEQUENCES. WEAR GLOVES - USE TOOTH PICKS TO APPLY GLUE - NEVER TOUCH THE GLUE WITH NAKED FINGERS/SKIN. IF YOU STICK BITS TO YOURSELF OR CAN'T SEPERATE YOUR FINGERS AFTER TRYING THIS REPAIR THAT IS YOUR PROBLEM AND NO CORRESPONDENCE WILL BE ENTERED-INTO - YOU UNDERTAKE THE FOLLOWING STEPS ENTIRELY AT YOUR OWN RISK AND, FOR THE AVOIDANCE OF DOUBT, IF YOU HAVE NEVER USED SUPERGLUE PROPERLY BEFORE THEN I ADVISE THAT YOU DO NOT ATTEMPT THE REPAIR DESCRIBED HEREUNDER. Still want to go ahead? Proceeding entirely at your own risk, superglue the cracked area using the end of a toothpick to apply glue to the area between the cracked parts (one side only). Press the parts together for approx. 10 seconds. 3a: Now take a small sliver of plastic from a memory card package (or similar plastic packaging item) and cut a strip the full width of the top of the eye-cup frame and slightly narrower than the frame (Approx 17 x 2.5mm). This is shown resting on top of the frame in the shot above. Glue the plastic re-inforcing strip to the top of the frame using cyano-acrolate glue (Superglue). This image shows you where you will have applied superglue after the repair is complete. Please see text for how and when to apply which drop. 5. Glue the right hand side now by repeating the process - two drops of superglue in the nodule recesses and in the middle dimple. Slip the rubber into place over the frame and hold in place for 10 seconds. 6 Now lift the extended little flap of rubber on the lower left up and pop some superglue under it with the end of a tooth-pick. press it back into place and hold for 10 seconds. Repeat for the other side lower rubber (this is not as long and flappy as the left side). 7. To secure frame to camera, you have two options. The first, and simplest, is to place two small drops of superglue under the top part of the frame and then clip the eye-piece back on the camera then hold it down for a few seconds. The EP10 will now form part of the camera. Permanently. Once you have this all done, and have saved yourself making another contribution to Olympus' corporate face-regaining fund, perhaps you can hope that they will, one-day, decide to fix this idiotic design and make eye-cups that stay where they should be - on the camera! IF YOU WILL NOT RTFM THEN DO NOT REVIEW CAMERAS! I seldom use the disparaging epithet "idiot" to describe fellow humans. However, in the past few weeks I have been doing some trawling on YouTube to see if there is any additional information which might prove useful on setting, using and owning the E-M1 or other Olympus M43 kit and the temptation to drop this self-imposed linguistic standard is rather strong. What led to this? Well, in short, there is not much good information on the E-M1 and the 43 system out there. Whilst there are hundreds of videos on the subject, very few have gravitas or display a proper understanding of the subject matter. In the freely accessible internet domains, one must expect views from all and sundry. When it comes to Olympus equipment, there are a lot of them. Mostly though they are nothing less than bovine excrement. In any review worth its salt, there should be facts. An understanding of the subject matter is a minimum. Sadly, even in cases where a full-time review site is involved like DigitalRevTV - where one should reasonably expect a certain quality of preparation from the reporter - this is patently lacking. During my tenures as editor at three different photographic publications we insisted on at least a two week evaluation period for any review item. Step one was to sit with the handbook and camera and go through it to the last detail. Then we would use the camera on assignments for the period we had it for review. In this way you get to know its quirks and how it behaves in regular, daily use. Some things that seemed strange at first often mellowed into logical design points as days passed. At the end, we would meet and discuss the various aspects we felt needed to be highlighted in the review. It is patently obvious that nowadays - with most "reviewers" - not even a perfunctory glance is taken at the instructions. Too much effort folks? This is not unique to Olympus equipment as all the reviews have the same "ooh look at this!" cheesy enthusiasm and superficial understanding of the equipment. Perhaps the suppliers do not include the instructions? Just a thought. My sense of humour (and my tolerance of shoddiness in reporting) was reached as the reviewer from DigitalRevTV took the E-M5 out of the bag and then looked through the camera. After he put it up to his face he mumbled something about settings and then squinted at the screen like a bemused Doormouse while shouting "Aargh! I hate Olympus menus!". This told me two things and convinced me of a third. Firstly, he had not bothered to read the manual. Secondly, he has absolutely no idea how to use an Olympus camera. Thirdly, unless he is committed to reading the manual before talking about any item in a review, he must stop it now as his opinions cannot possibly carry any weight. As they stand they are obviously just the mis-informed ramblings of a lazy reporter who appears to wish to be important and influential while getting to play with the latest gadgetry. Frame grab from DigitalRevTV review on Olympus E-M5II. You never read the manual did you? Part of the problem is, of course, that most photographers (and I use the term loosely) seem not to understand that you can make a photographic tool powerful and useful without festooning the exterior with hundreds of buttons. In a world where people regularly spend thousands on the latest camera body, then switch off all the computing power they paid for and use manual mode, I suppose this is not surprising. So, end of rant. 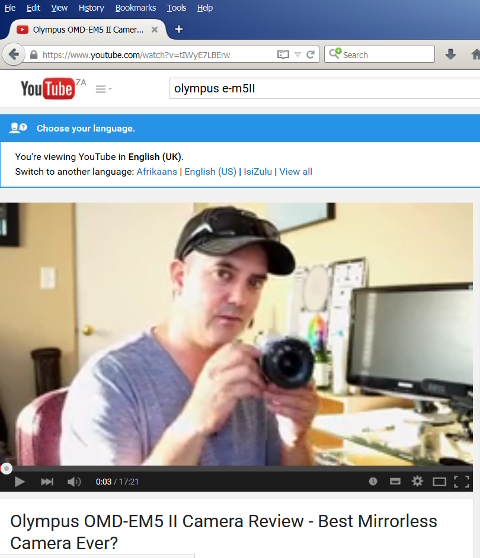 Let me tell you something useful about the Olympus Digital camera family. To use the cameras, or to set things, forget about looking for specific buttons for ISO, Drive mode, Colour or Focus. These are not bits of equipment from Canon and Nikon intended to impress you with the number of buttons they have. They do not need them. If using an Olympus digital camera, just remember to: Press, direct, twirl and touch. On the rear of every Olympus digital camera since the first E-Series models, has been a display called the Super Control Panel or SCP for short. Here are images of a few incarnations. The SCP displays all the most commonly used camera settings in clearly labeled, easily read boxes. The layout has remained the same since the first E-series cameras which is a great idea - no need to re-learn each panel as the model is upgraded. With the SCP displayed on an E-series camera, press the OK button and a yellow highlight box will appear. On the older cameras it would always be at the top left but later models have a "last position used" memory. Once the box is highlighted, simply direct it to the setting you wish to adjust using the direction arrows around the OK button. Now twirl the input dial. On single dial cameras its the only dial available and on twin dial cameras it's the front dial. This will scroll through all the possible values for the adjustment you are making and you simply have to stop twirling when you see the value you want. Touch the shutter button and its set. On the latest OM-D series cameras it is even easier. In this case it is Press, tap, twirl and touch. Once you press OK, tap the screen icon of the item you wish to change and the yellow box will move there. Twirl the dial to set and touch the shutter to confirm. So intuitive that Nikon have copied it (sort of) and Canon have adopted a similar approach on their latest products - although there you have fewer options to adjust with the control panel - and on most you have to press OK to confirm each setting. This short video clip shows you how fast and easy it is to use the system on the older non-touch and the newer touch-screen cameras. The reviewer in this video obviously had not bothered to learn about this aspect as he constantly tried tapping away at the screen when the box failed to appear and complained that the screen was obviously not sensitive enough. Well buddy, you do not want things to just be called-up and set by the accidental brushing of the screen so it only enters touch mode when you press OK (as detailed in the instructions). RTFM Doffie! Certainly not the best or most credible review ever. Reading the manual and finding out how to activate the touch screen would have rescued your credibility (slightly) mate. While watching any review on the web, if the reviewer uses words such as "I think this model has this..." or "I'm not certain if that feature is included..." or similar phrases and fumbles about trying to show you a feature or control, you just know they are not serious, have not read the manuals and have certainly not used the equipment nearly enough to fully understand it. Knowing the features, understanding every control inside-out is the minimum effort any reporter should make when entrusted with a brand's reputation. Even reviewers as apparently eminent as Darren Miles and Tony Northrup have said "I'm not sure if it's on this model..." or have started a review using old Canon legacy film lenses on the camera and been iffy about the handling! Note to those gentlemen: Concentrate less on how sunny Naples Florida is and read the books Darren and if you are reviewing a new system camera use its own lenses Tony - the designers made it to perform its best with those. YouTube appears to be crammed full of reviewers without the faintest clue about the difference between a review and a mis-informed opinion or outdated and clunky methods of using cameras. It is, therefore, no mystery to me why the few photo retail outlets that are left are still dens of mis-information and out-dated techniques. Retail assistants seem to dislike reading and would rather google a video. Furthermore, many companies are now using "brand ambassadors" who know even less about the products and their design history than many enthusiasts - but that policy is the grist for another article entirely. OLYMPUS E-M1 FOCUS TRACKING IS CRACKING! Right. After some time spent between assignments where I tried every possible setting on the E-M1 I reckon we have an understanding of the things we can do in the future. I am quite expectant - especially in regard to action sequences that need focus tracking. Birds in flight are regarded as the most challenging of all subjects to follow in the viewfinder. I reckon that the following in the viewfinder was the easy part. Technology, however, lagged behind in permitting the focus system to keep the subject correctly focused in all frames of a sequence at 5 frames per second. Even the long-time alleged king of AF, the Canon series of EOS cameras, struggles with subjects moving obliquely. Most Canon sports shooters I know have told me they use Servo focus with the central point selected and hope that they get at least one or two tack-sharp shots in any given sequence. This holds true only as long as the subject is in a drect line of sight to the camera as any subject that gets interspersed will throw the focus off the main subject. Those shooting the so-called black gold kit - Nikon, have paraded a subtle air of superiority for some time due to the ability of their cameras to use 3-D focus tracking. Essentially - despite what the promotional blurb says about recognising the size, shape and colour of a moving subject - the focus system follows any subject upon which you have locked the focus and does not re-adjust it until a set time has passed if the subject is obscured. It was this feature that saw the migration of virtually every football photographer in the world to Nikon in the past few years. Now we have the E-M1 and its focus tracking system. Then you select focus points or leave it up to the camera. With legacy 4/3 lenses the area in which tracking is possible is shown with a green frame on the electronic viewfinder. If you go outside the area it can use the frame changes colour to warn you. With Micro-4/3 lenses its the entire frame. Nine frame per second sequences, even with similarly coloured items in the scene for a fraction of a second, result in tack-sharp images of subjects moving obliquely through the field. Birds in flight are easy pickings now. And tracking footballers will be hum-drum. Not even the appearance of the tree between the goose and the camera upset the electronic genie inside the E-M1 in this sequence. This was just amazing! Perfect early morning light and a young owl looking for a snack. She was very fast and moved in a line towards the camera away from the stump. 9th frame in the sequence once I had picked her up again between frames 5 and 8. An inevitable consequence of adding new tools to the gadget bag is that, eventually, reality sets in and you have to realise that you cannot use 5 cameras. Having the new E-M1 on hand led to my E-3 bodies (the last two new ones available in 2012) seeing little or no service. Dozing in a gadget bag is no life for a previously active and faithful E-3. So, the newest one of the pair plus her HLD-4 recently found a new owner - all the way in Melbourne Australia. The new owner will have a brace of E-3s when she arrives and is planning a trip around Australia with them. At least she will enjoy the similar weather once they get over the typical Austrlian Bight winter at the moment. Having bumped my head with the Olympus E-M5 body as a potential replacement for my E-3 and E-5 cameras some time ago (the blog entries are below regarding this episode), I took some time before giving the "E-5 successor", the E-M1, a trial. At first, in the middle of last year, I was less than impressed. The slow multiple release rate and the iffy performance with the existing SWD lenses did much to tilt the balance towards hanging on with the existing kit. It went back into the "close but no cigar" category. However, in January this year Olympus released firmware version 3.0 for the E-M1 and dispatches from the front lines of press work from colleagues in the UK told me that many of the issues which had troubled me appeared to be either resolved, or at least reduced to niggardly proportions. However, given that the E-M5 II has made an appearance with the high-res 40MP shot option, as well as the fully articulated rear screen (Vital so that you can fold it out of harm's way when doing news work), I suspect that the E-M1 II (or whatever) boasting both of these features is due shortly. So, when some suppliers made E-M1 bodies reasonably affordable, my interest was piqued. Then a colleague got new kit and had a 1212 release body going begging for a relative song. No brainer! After two weeks of toying-about getting to know the unit and its many menu quirks - for example the old, much used light-box image display is now a display option hidden in the custom settings menu and somewhat restricted versus the E-5 - I am coming to terms with the only possible upgrade for the E-5 body and Four Thirds lenses there is. One aspect confirmed so far is that the handling is very similar to my OM-4 body. The power switch is now in an instinctive place, the size and "heft" is similar although the HLD-7 grip is a must for any sort of ease of use when FT lenses are attached. The electronic viewfinder irritated me when I tested the camera at a BMX event as the image froze momentarily when tracking riders at high speed. This meant I could not follow the action through the viewfinder. The solution to this problem is to switch off the image review mode in the menu. This ensures that the camera does not try and show you each frame in the sequence as it is taken. Another quirk is that with the best viewfinder refresh rate (and thus the best view), the continous shooting experience is likewise interrupted. Setting to normal refresh rate gets you (almost) to the point where viewfinder lag is not such an issue anymore. However, the focus tracking is a vast improvement on the E-5! Each shot in 9 frame per second sequences of riders coming towards the camera or tracking obliquely was tack-sharp as these two samples demonstrate. So, from a performance point of view, once I get the viewfinder and my brain on the same highway, things should show a good leap forwards. Another obvious difference is the image quality and noise aspect of the sensor. From 800 ISO upwards there is no contest and the E-5 (and obviously the E-3) are simply left for dead as regards image quality-at any setting and in any conditions. Two aspects that are delightful are the low mass and bulk and the virtually silent shutter. Not making a noticeable noise has already allowed me to get some candid shots that would not have been possible using the E-5 (or at the very least I have not been rumbled when taking a candid shot and in this past week of craziness in South Africa that is a vital safety aspect!). I know that a refresh of the EM-1 is just around the corner so will be pensioning off my E-3 body to a good home and running the E-5 alongside the EM-1 for a while until the EM-1 II appears. Hopefully by then I will have fully adapted to the "new era" and be happy to step off the prism finder bus completely. I still hope that some day, just because it's possible, they will make an electronic OM-4. That simplicity would be the ultimate sophistication. There are many so-called "weather sealed" cameras knocking about on the market. The first D-SLR to offer this vital design feature was the E-1 that launched the E-System. Like other now commonplace features pioneered in E-System cameras, other brands list this ability to shrug off a bit of inclement weather as a regular selling point of their semi-pro and pro kit. Time and again, however, I have seen other photographers bagging their gear or begin to speak in tongues as their equipment refused to work after a light drizzle coated the shooting location. Yesterday a lovely couple with their family flown in from Lithuania and Estonia had their long-awaited dream beach wedding. 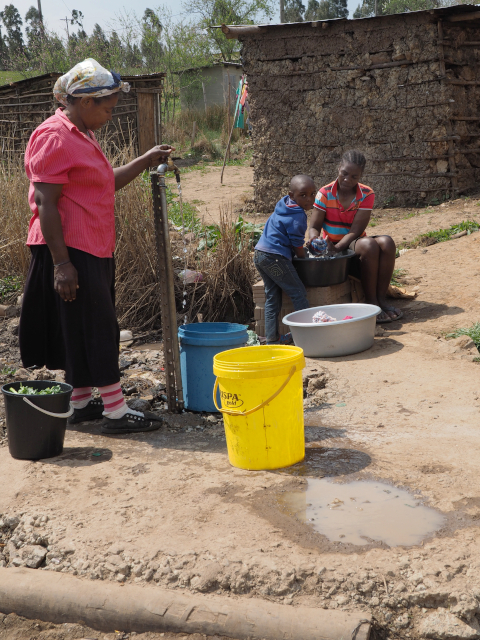 The week days up to the big day were typical, idyllic African sunshine fare. The big day dawned grey, overcast and wet. The bride and groom, however, were determined. It was planned as a beach wedding and so it would be! Squalls came and went through the morning and finally a gap seemed to open up at about 3.30 in the afternoon. It stopped raining and the sky brightened from about 5% to 30% grey. Guests were seated and the groom took up his place. The lady of the moment set forth from her room at the resort and all seemed fine until she arrived alongside her husband. A light mist of fine raindrops began to fall. The misty drops became larger drops. As each minute passed the drops grew in size as the wind picked-up and the elements conspired to drench the bridal party and assembled guests. My camera gear had no choice as the ceremony carried on - in fact, I did not even spare a thought about the weather as I have come to depend on the weather sealing proving its worth again and again - I was able to concentrate on the actions (and reactions) of those pressing on with the wedding in spite of the weather. Afterwards a dash ensued for cover and the guests toweled-off in the beachfront marquee and Lapa. I took shots of their efforts and then put the cameras down to dry myself off. Many comments were made about the fact that I was sure to need new cameras after this and one wag even took a shot of the E-3 I had used where it sat next to the 5 as he expressed his view that it was a "funeral shot" of a camera and he wanted to show his mates back home how I had sacrificed a camera and flash to get the shots. Well, the rest of the night progressed and the allegedly terminal equipment went on to play its role in documenting the festivities. After the guests had seen the rushes of selected shots after dinner the positive comments about the photographs taken in the rain were effusive. While the guests agreed it was a memorable event for the conditions and subsequent consequences, there was almost universal appreciation for the fact that the entire ceremony was documented. The day offered confirmation, yet again, that if you undertake to record an event for a client, you need to be able to deal with anything that happens. Investing in top gear that can work through the conditions - no matter what they may be - is a non-negotiable and worth the extra money. My cameras have soldiered-on through dust, snow, rain, sea-spray and the inevitable bumps and knocks of reportage and sports work. As far as I have seen the only gear used by colleagues at events that has kept up with the E3/5 bodies so far has been the D3, 4 and the 1D. So, simply, if you are serious about working as a photographer, get serious kit that can deal with all kinds of conditions and remember that the lenses need to be environmentally sealed as well to get the maximum benefit from the feature. Luckily all pro and super-pro optics from my chosen brand are sealed. Other brands have them few and far between so choose with care if this is a feature you need. I have no illusions that the designers at Olympus have read this blog. However, as someone who uses their equipment daily I needed to know what was up in the future for my High Grade 4/3 lenses as regards a newer imaging tool I could attach to them. So, I asked them directly. They very politely replied and said an "E-5 successor" for all 4/3 lenses would be available before the end of this year. Now back to work...I have two new cameras to pay for soon. OK. So I had a moment of weakness. Like running off with a smaller and younger camera system while my E-3's slept in the cupboard (luckily). Why has the relationship ended? Simple - the investment made in high-grade lenses for the E-3 bodies does not deliver value when they are used on the OM-D bodies. After initial attempts to find work-arounds (There are none) I took one final shot at it. I spent 4 long days trying to find workarounds for the focus issues while doing a show-jumping derby recently and I eventually tanked the OM-D kit and went back to the E-3s. I needed to deliver crisp photos of the horses and riders at the right moment - not ones at the split second after they jumped. So, my new Christmas wish list to the gentlemen at Olympus please. The OM-D sensor (Could shoot rock concerts and floodlit sports - if you pre-focused - with no discernable noise), stabiliser and tone curve tool in the E-3 body so I can (a) Have my optical finder back and (b) Have the speed of focus I get with the E-3. Not a M43 camera please - a proper camera I can hold for hours on end and with which I can shoot more than 9 000 frames in less than four days without repetitive stress injury. No need to change the layout - no need to change anything on the outside (I do not need a touch screen on the camera to be honest). And, as the tooling and body is virtually paid for already, just toss the OM-D guts into the E-3/5 body please. And you can have an order for 2 on announcement. ALL MY CHRISTMAS CAMERA WISHES GRANTED AT ONCE! On Wednesday last (8 February 2012) Olympus - the company that was supposed to be down and out/bankrupt/no good at making serious cameras/(add your view here...) - released a camera that has set the lack-luster ordering in-boxes of online, and bricks and mortar retailers, aflame. The amazing thing is that this activity is not just limited to Japan - but the USA and Europe have had a flood of pre-orders placed for the camera. Out here in South Africa the local agents - I understand on good authority - are still considering if they will even bring in the camera as the "...price may be too high and it may not sell...yadder-yadder!" Oh well... At any price this camera has no competitors. 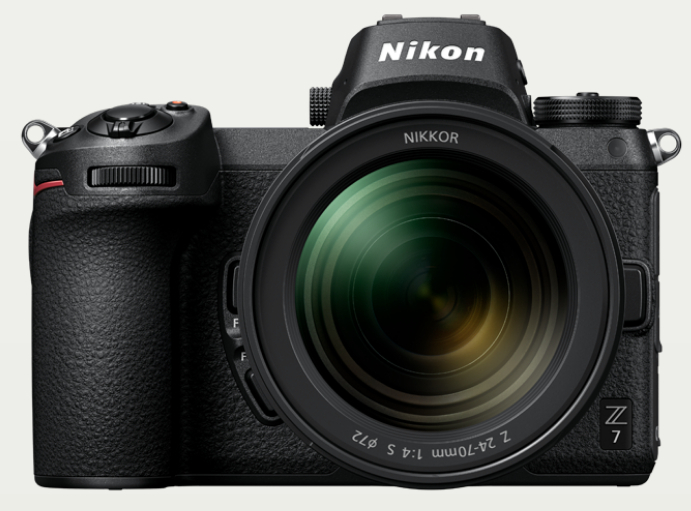 At only about R14 000 or so (which is the overseas retail price of $1300 with a weather-sealed lens and portable TTL flashgun x R8 plus VAT and something for the agent's flash metal fund) it is an absolute giveaway. As a serious photographic tool it is the business. Now, if conventional wisdom is applied (based on repeated comments by alleged boffins on forum after forum on the web) then there must surely be a lot of idiots out there for there to be so many orders flooding in. After all, why buy a camera with a sensor that is too small (compared to what I ask?) and that looks just like the old ones from the 1980s. I have done my best to make friends with an E-P2 but time and again I find myself instinctively putting the camera to my eye only to realise there is no viewfinder. In that instant, many opportunities have been lost. Yes, I could buy the EV-F2 but you still have to hit a switch to go from one to the other - more seconds lost waiting for it to happen. And that EV-F2 is like a huge carbuncle atop the camera anyway. Yes, when all things work in one's favour, the image quality and the capabilities are breathtaking. Of course the size is absolutely lovely but you do not find yourself thinking it was a good decision to reach for the E-P2 rather than the E-500 or the E-3 when popping out somewhere and you lose a shot because of the "not there as I expected" missing viewfinder. People switching-up from a compact camera, however, would never find this a problem - it is the folk like me who have been using SLR type equipment for decades who have this issue. It is also us who populate the top-end of the camera purchasing population and who can afford the kit in this price range. So, this is another reason why the OM-D series makes so much sense and is proving to be a sales hit just like the original OM models and why previous Micro Four Thirds sales charts need to be tossed-out of the window. Are you listening at Tudor house there guys? So, by copying a matured design and placing a viewfinder into the camera directly where you expect it to be, Olympus have done - in my view - exactly the right thing. Many decry the look and feel/shape of the OM-D series as too retro (And let's understand this - Like the PEN series and E-Series, this is a new camera series altogether) but this first iteration, the E-M5, is not just a cheesy attempt to milk the nostalgia market for ballies * like me who remember the working tools we used for more than 20 years. The layout of the camera has, like in most serious Olympus working cameras to date (OM-1,2,4 and the E1,3 and 5) been decided - and I can clearly see the continuity of the thought process instilled in to the design team by Maitani-San - by asking the simple question "Is that button needed? Will it help you take better photographs or will it intrude in the process? So, the answer to why it looks like an old SLR is because they worked ! As we reached the 1980s SLR cameras were a very mature technology. Wild and fantastic designs had been tried (Anyone remember the Canon Epoca or the Minolta Vectis series?) and discarded and the layout and design had - largely - been settled. So using this type of layout is not just an exercise in nostalgia - in a very solid manner it is a return to what really matters. Compact, simple, every button for a particular purpose and easy to learn to use with the camera at eye-level. The fact that one seamlessly goes from large rear screen to instantly available viewfinder as one did in the past is a treat. Olympus say they have made the AF the fastest of any camera and this is something I will take as read - after all, unless you want to be churlish and simply pig-headed - there is little between the E-P3 and any D-SLR you care to pick when it comes to focus acquisition. If the E-M5 is as fast (and Olympus say it is faster) then there is nothing to bother about in that department. Certainly, Terada-San is not given to boasting and the confident (but very quick) smile of pride he permitted himself in the press interview when he said it was the world's fastest auto-focus for any camera is convincing enough. What is more, Terada-San is, himself, an accomplished photographer and from a similar generation to myself. The way his fingers danced over the controls as he demonstrated the machine - coupled to his obvious enthusiasm for the camera and what it offers - further convinced me it has been thoroughly thought-through and carefully designed for light artists and not just happy-snappers. Now, I must admit that, just as I was thinking about the long term possibility of putting a foot in another camp, the new E-M5 has got me sold. I have two on order and fully intend making them earn their keep. I expect to be able to use them for weddings (imagine how mobile one can be without tons of gear to lug around) and sports (up to 9 fps!) and given my location (often raining and misty) being able to use the cameras just like my E-3 bodies (it is, just like them, made from Magnesium and weather sealed) without bothering about the damp will be nothing short of a treat. Oh, and of course I can use my existing pro lenses with a weatherproof adaptor too but then again, there are some tasty - and very fast - Micro Four Third prime lenses on the way from Olympus as well...this is too much happiness! When you are chasing the action in a number of sports, splashing and other issues should be the last of your concerns. In real-world conditions a properly sealed camera like the E-3, E-5 or the new E-M5 and lens is not a flight of fancy - it is a necessity. As for the issue about the supposedly "useless 4/3 sensor" I read about so often on various fora, I think that argument can now be ignored. The image quality of the Nikon V1 is amazing and that sensor is smaller than the 4/3 one. The latest Canon all-in one has a sensor the same size as the 4/3 (OK, what is 1mm really?) and Canonophiles are hailing its quality...The E-M5 at 16MP has more pixels than you are likely to need if you frame your shots properly and even has enough if you need to rely on the cropping tool to make you look half decent. And we have not even come to what I feel is the greatest (and will probably be the least understood) feature of the E-M5. That the viewfinder or screen will allow me to set the exposure even more accurately via an interactive tone-curve than I could with the multi-spot metering system of the OM-3/4 and it is the cherry on the top of a solid specification. Tone curve? What? Listen carefully - Almost as a footnote, Olympus have added a gem of an exposure tool into this camera. You can call up the tone curve on the screen or EVF (allocate the function to one of the 3 function buttons on the camera, give it a press and up it comes). By turning the front input wheel (surrounding the shutter release) you can bias the highlight curve to pull back or whiten highlights! The rear input wheel (looking for all the world like the OM-1 ASA wheel at a quick glance) allows you to sort the shadow curve and handle details or contrast in darker areas. The screen or EVF shows you exactly what the result will be before you hit the shutter! Just think of the time you will save with bounce-boards and in post-production. Picture this - start by taking a Spot-Hi reading as the basis to keep a white dress white without blow-out, hit Fn2 and then twirl the back dial to pull up the shadows of the groom's suite...or take a Spot reading from a dramatic moody early morning seascape and then twirl the front dial to get the cloudscape looking as it does to your eye...oh my goodness! A whole new realm of opportunity awaits with this camera. If there is any wedding photographer out there (and without a noisy mirror bouncing around you can now shoot at virtually any point in the ceremony without getting a scowl from the minister) - or anyone regularly photographing dark skin tones in sunlight - or doing landscapes - that does not immediately grin from ear to ear about this bit of wizardry then they just do not understand the import of the feature. Furthermore, they probably do not deserve to use this amazing photographic tool anyway. Domo Origato Olympus - this is the paintbrush I sent you so many e-mails about. While it is not the simple 3 button system from the OM3/4 which I repeatedly asked you to build into the next serious camera you made, it is easier to use and far more powerful. My wish has been granted. The last time I had the anticipation of getting just the gift I wanted was before a very distant Christmas when I was about 8. April - when these wonderful tools start shipping out from dealers - is just too far away! Rights to all material on this website are expressly reserved.